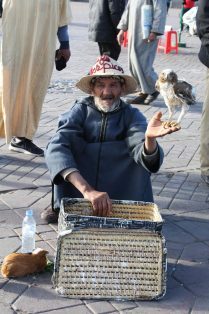 Morocco – a really varied land with incredible things to see and lots of fantastic experience to make. This country impressed us a lot and still after 10 years of traveling together, it was an intense adventure there. Take some time for this country to see it and to feel it. “In Europe you have the watches, in Africa we have time” – make sure that you know: The clocks tick differently there! 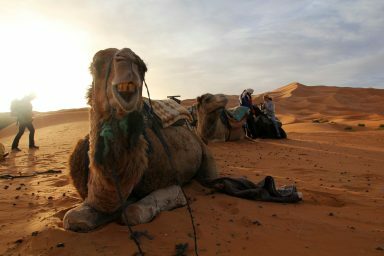 2 weeks in Morocco is the perfect amount of time to hit the country’s best places like Morocco’s desert, the huge Oasis, the impressive mountainous region, oriental towns and the Atlantic Ocean. 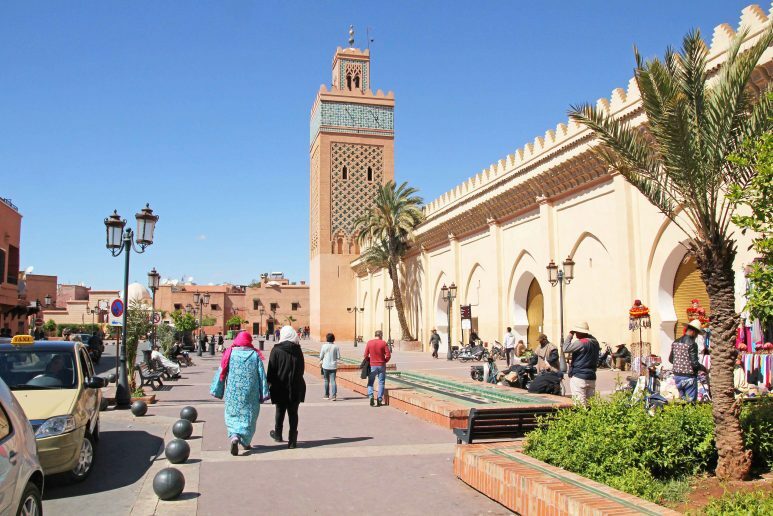 Certainly, we recommend to visit Morocco on a road trip – the people are always very helpful and the country is still very safe. 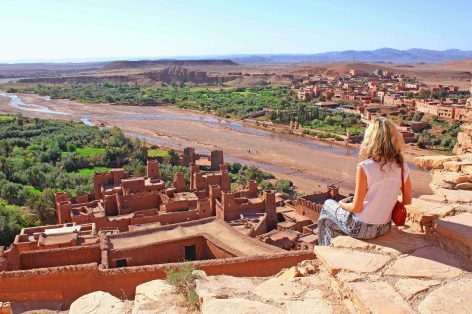 All in all, this self-drive road trip itinerary will help you planning a road trip to Morocco and to make sure that you make the best of your 2 weeks in Morocco. 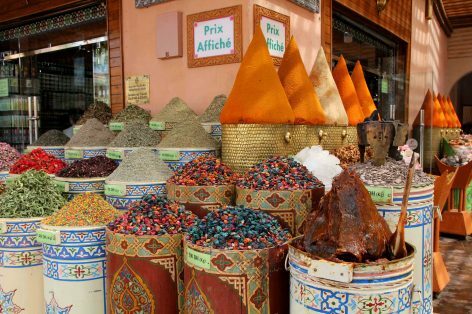 Additionally, you will get much useful information about how to travel on a budget, the best trip route and what are the best things to do in Morocco. 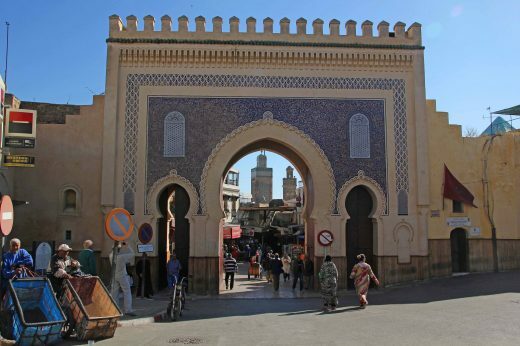 The Riad Irene is an amazing choice if you want to stay in a beautiful Riad in the middle of the old town. 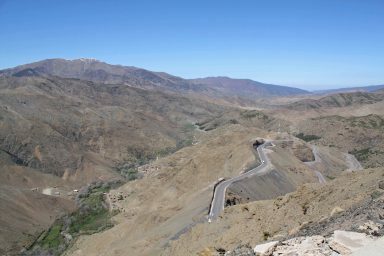 Day 3 Crossing the High Atlas mountain was one of the most beautiful road trip adventures we have ever been. 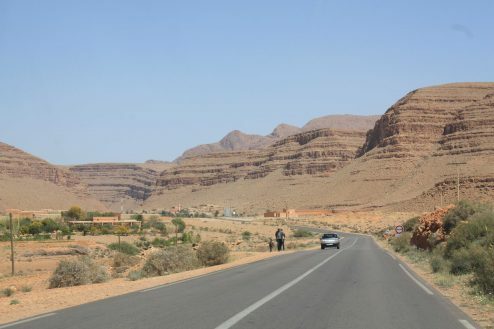 We took the road through the Tizi n’Tichka, a mountain pass with 2.260 m. The route from Marrakesh to Ait Ben Haddou is stunning, you will find plenty of photo spots on your way. 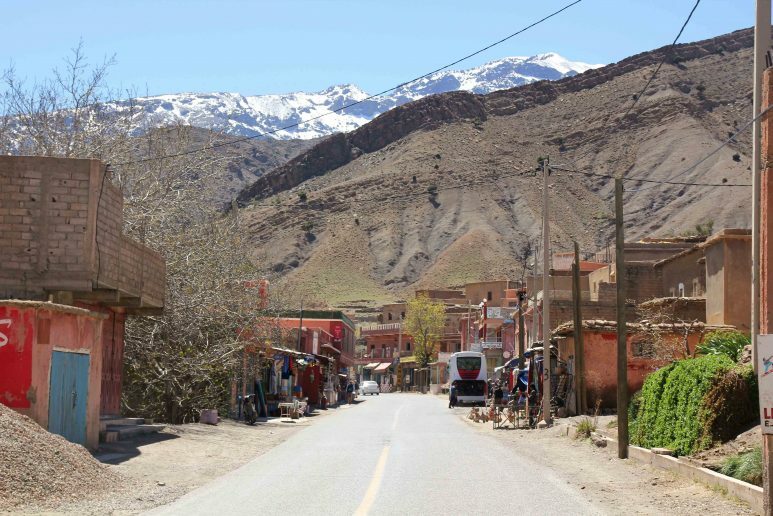 Bye the way, if you’re planning to go trekking in Morocco, the Atlas Mountain will be a fantastic choice for you! 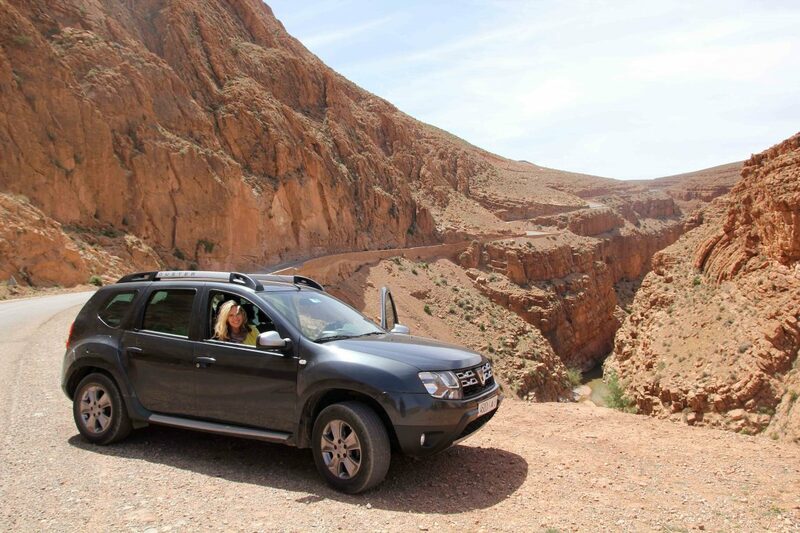 After 185 km drive, we had arrived at Ait Ben Haddou – a must see in Morocco by the way. 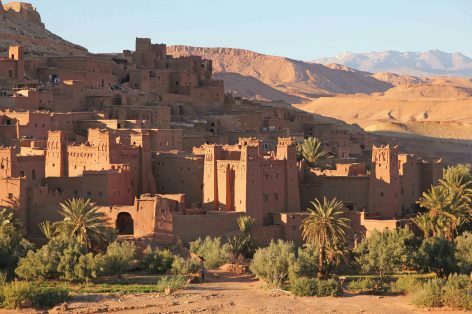 Ait Ben Haddou is a traditional mud brick city and it is on the UNESCO WORLD HERITAGE List. 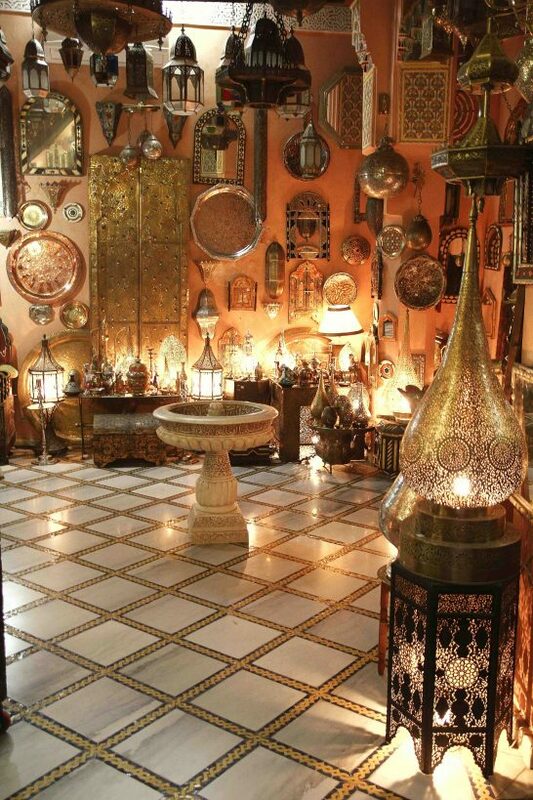 The most wonderful view for sunset and early morning lights you are going to have from the Riad Chez Brahim. 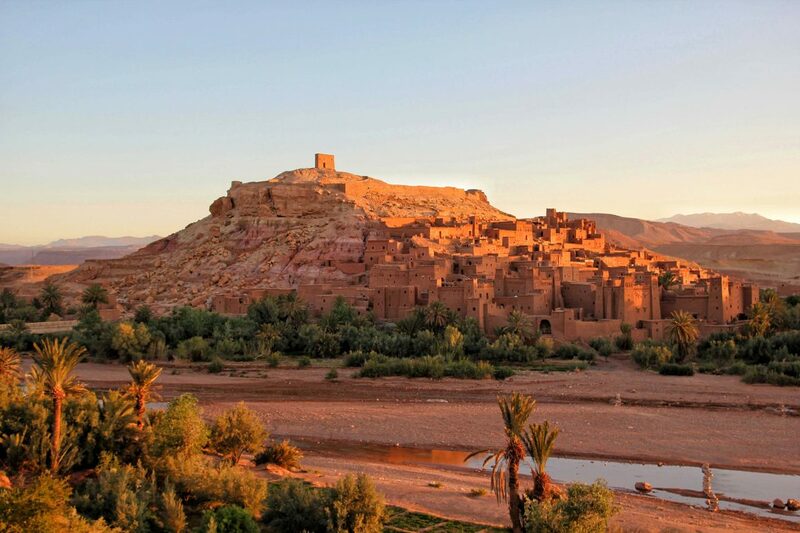 Ait-Ben-Haddou is an ultimate highlight of this country and should not be missed on any Morocco itinerary! 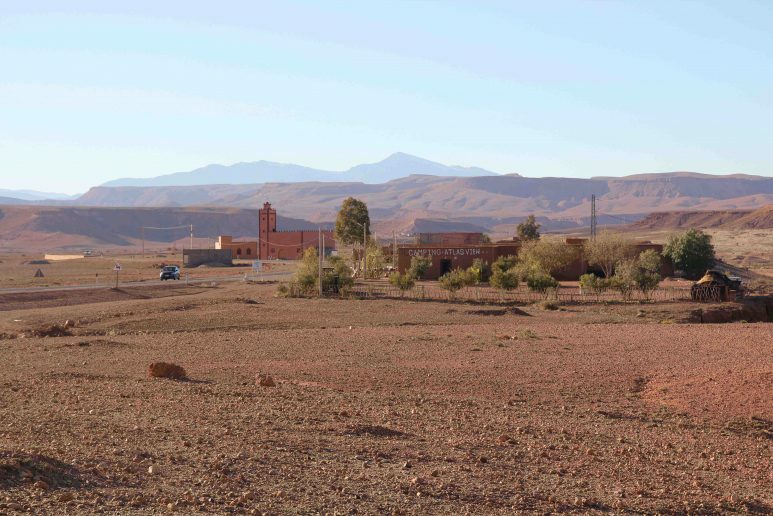 Day 4 We left Ait Ben Haddou early in the morning and we took the road of a thousand Kasbahs – What a gorgeous landscape! 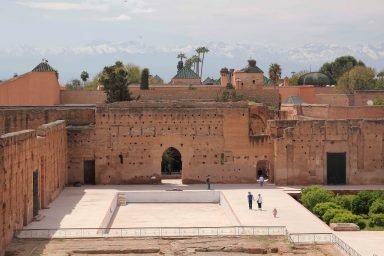 Fresh oasis all over and this picturesque old Kasbahs – totally you should visit the Kasbah Taourit and the Kasbah Amridil! 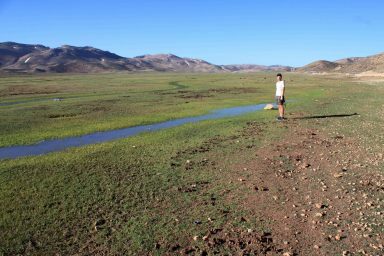 In the late afternoon we arrived at the Rose Valley (125 km) – a place where we could imagine to stay even longer next time! 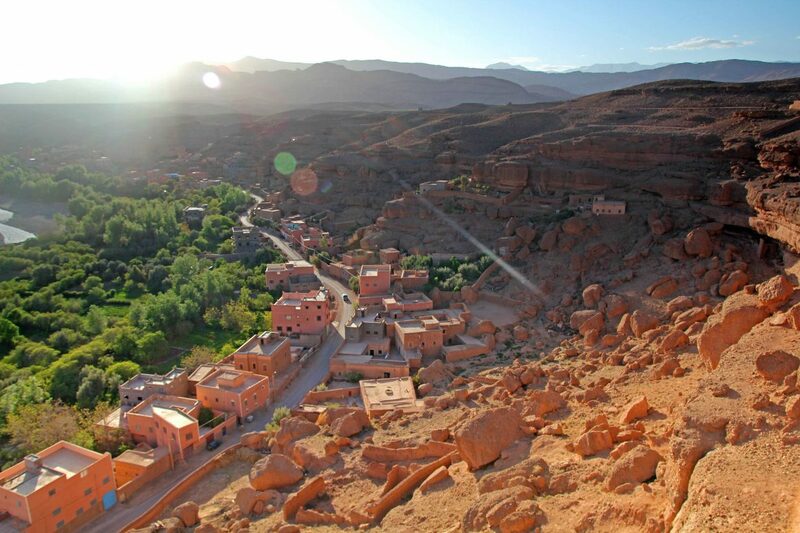 Our little hotel Dar Timitar was just wonderful – with an outstanding view high above the Rose Valley. 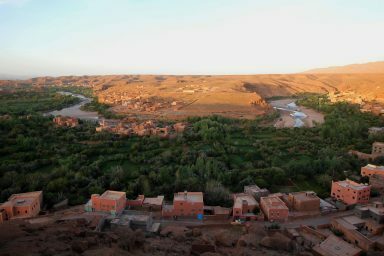 The sunset with view all over the huge oasis was one of our travel highlights in Morocco. 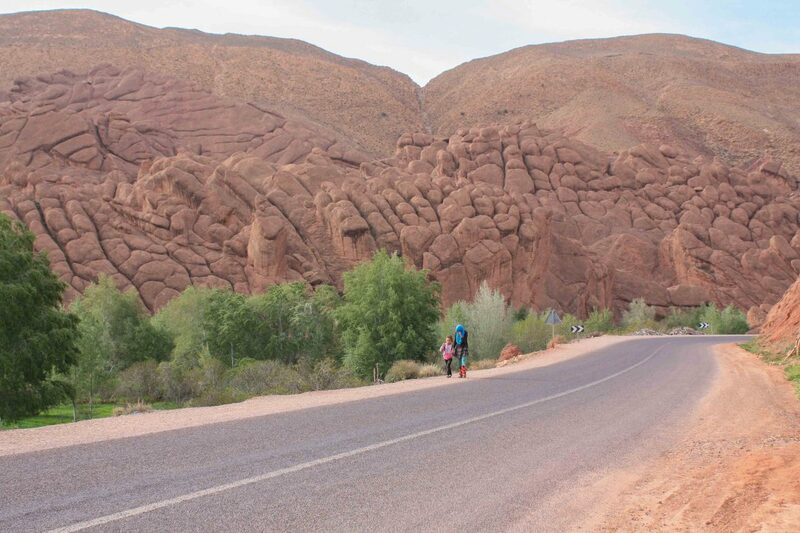 Day 5 (115 km) The next day we explored the Dades Gorge with it’s dramatic landscapes like the Monkey Fingers at the beginning of the gorge und the winding road to the top of the gorge – where there’s a coffee place –Tisdrine – with a great view! 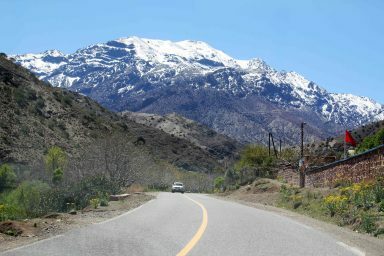 Our tip: If you have some time you should drive the road for around 15 km further on – the landscapes are amazing there. 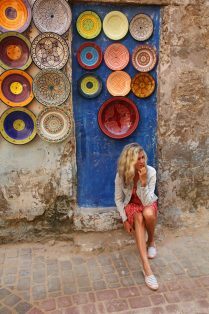 For the night we had an unforgettable stay at a lovely berber riad. 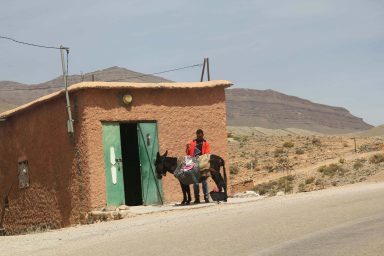 The host family was lovely – they made us a great evening with traditional local berber songs and learning their berber language. 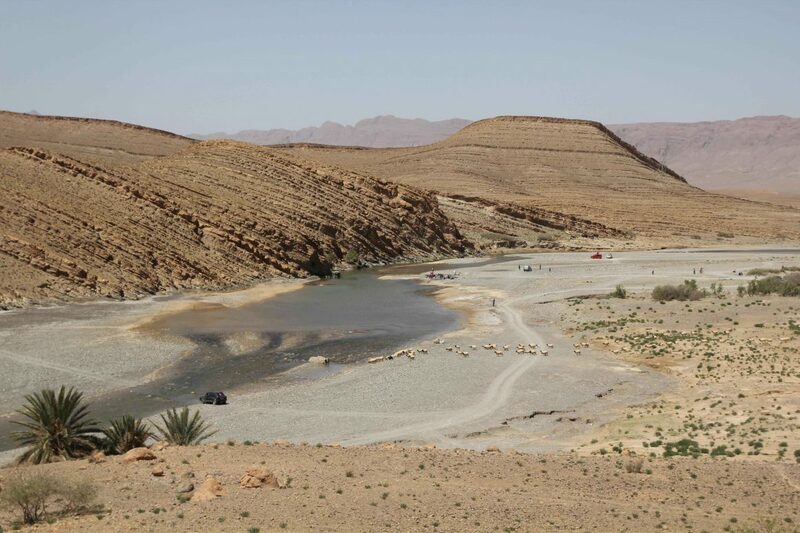 Day 6 Tinghir (75 km)) is a beautiful immense oasis, you come face to face with pure nature and picturesque landscapes. 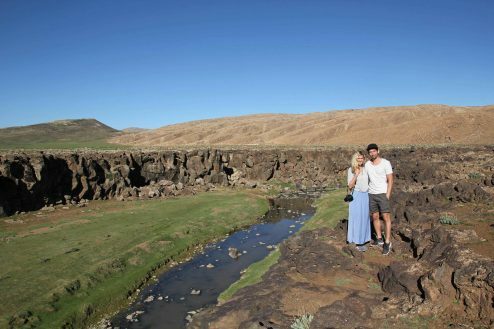 Take some stops at the road to the gorge – where you will have some great views to the beautiful oasis. 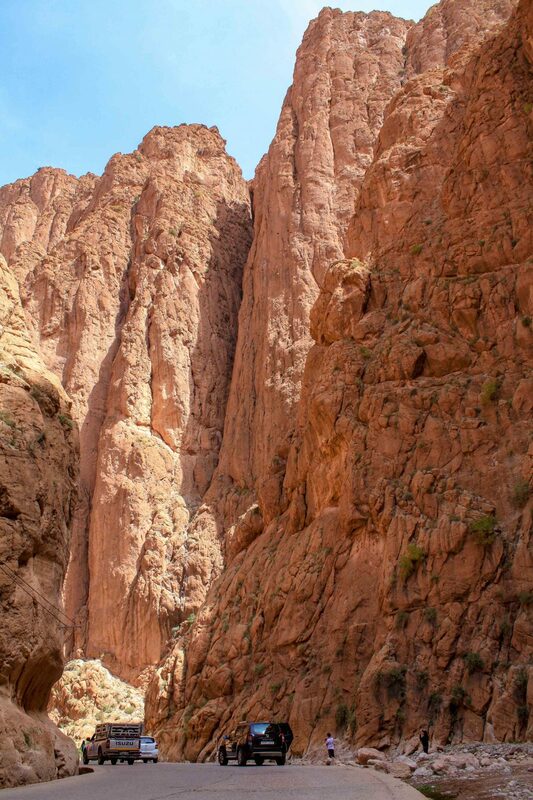 Outstanding is also the Todra Gorge which has probably one of the most impressive canyons in the world. 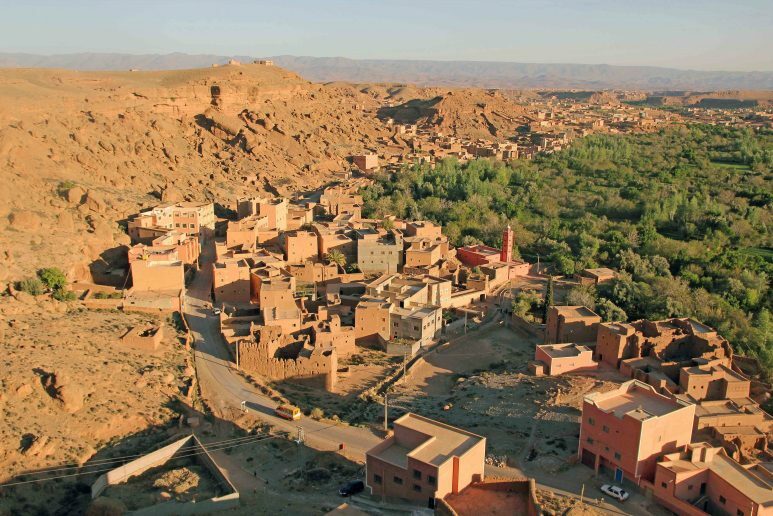 For the night we stayed in a lovely hotel on the road to the canyon in Kasbah Restaurant Amazir. A beautiful and calm place with pool and nice location just next to the river. 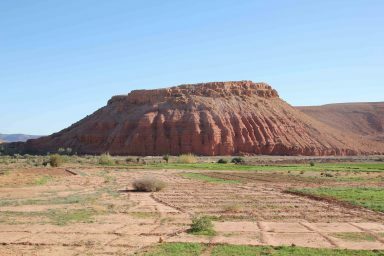 Day 7-10 The 270 km from Tinghir to Merzouga had been quite long, but the landscapes is becoming more and more impressiv the closer you get there. 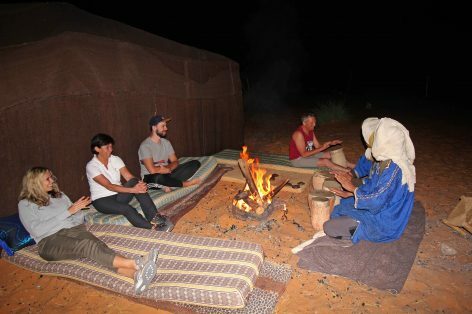 We had an amazing time with the guys from the Desert Berber Fire Camp, visiting the Erg Chebbi on the back of a camel and camping in the middle of the desert was just perfect! 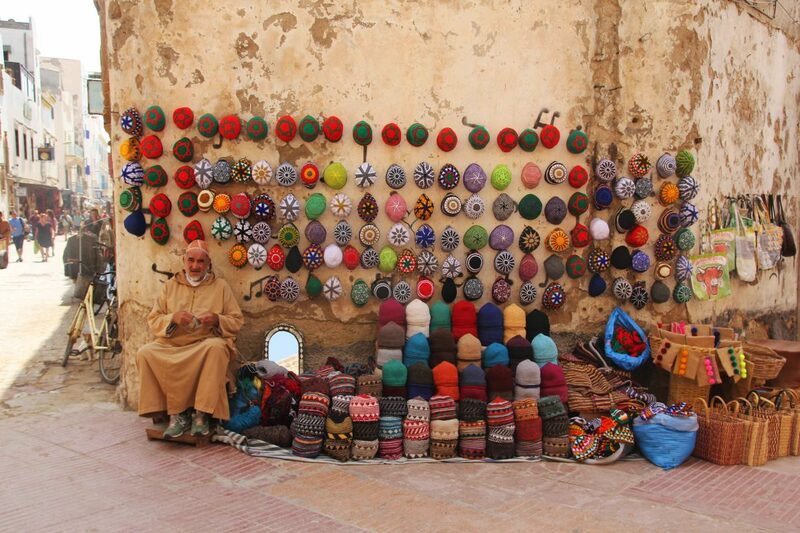 If you fancy to buy some original berber clothes, you should visit the center of Merzouga town. 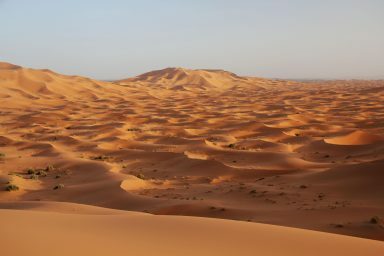 Visiting the Sahara Desert in Morocco was our favorite experience and a highlight of our Morocco itinerary! 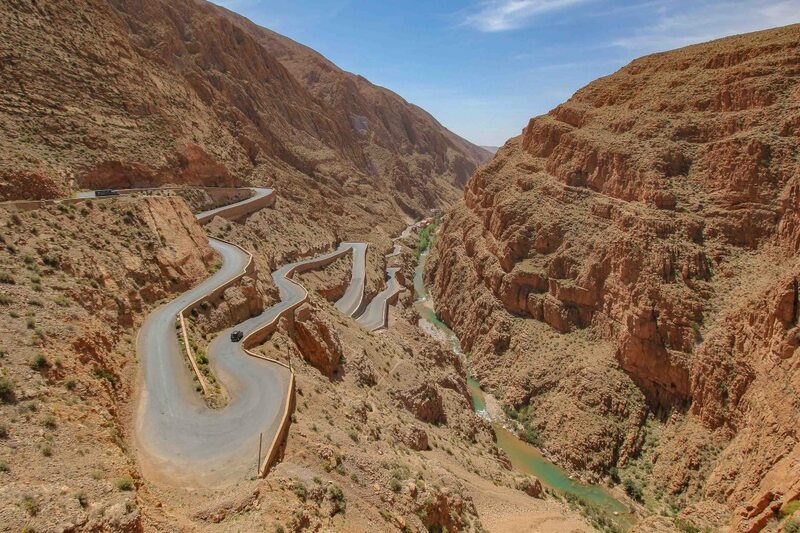 Day 9 The way is the goal (470 km) – the road to Fez is quite long – but anyway you will have a lot of great photo spots on your road trip. 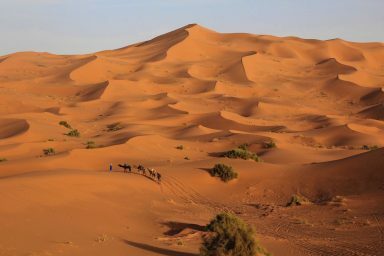 Consider staying a night in Zaida if you can`t drive that long. 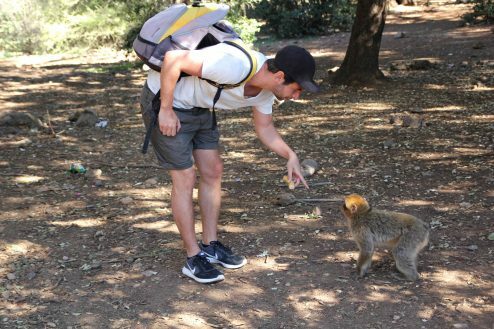 The Monkeyforest next to Azrou was quite cool – where we had the possibility to feed monkeys. 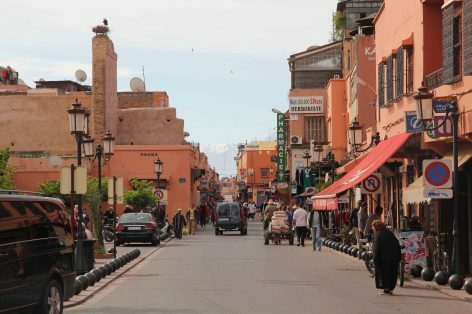 You can also do a stopover in Ifran, Morocco’s „Little Switzerland“ located in the Middle Atlas Mountains. 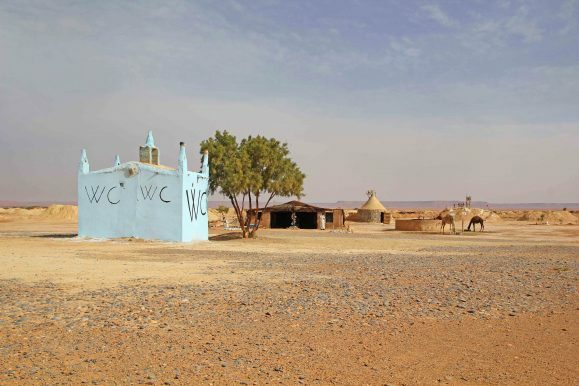 When you do your road trip by car, make sure you are staying outside of the medina. Day 10 Yes what can I say – either you love it or you hate it. But all the visitors agree on one thing– this city is unique. 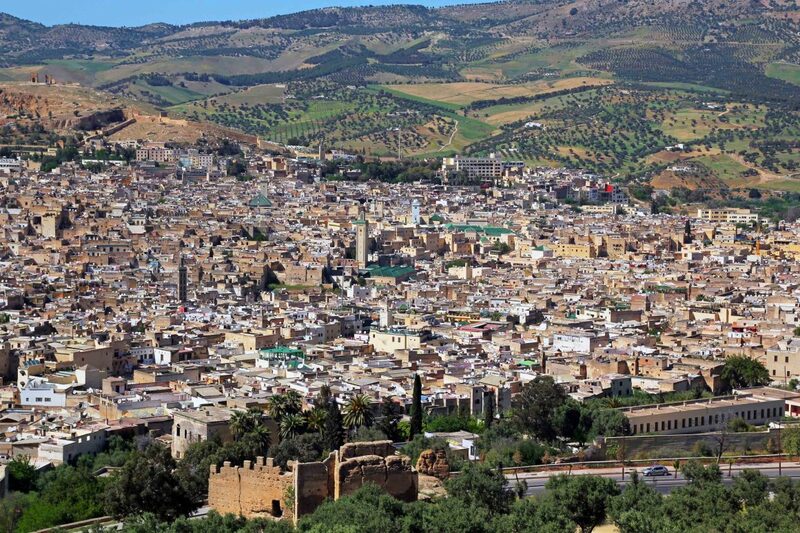 Take your time to explore Fez. 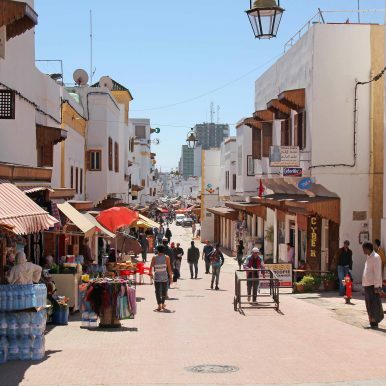 The medina is huge and so you can wander around for hours without getting bored. 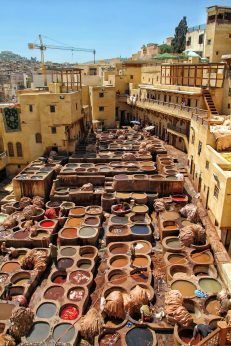 Visiting the Tanneries of Fez is a very special expirience. But be aware: it`s smelling strongly and some people even getting sick. 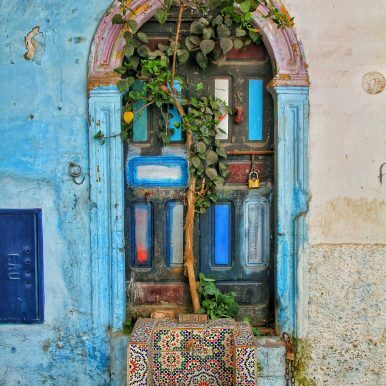 If you come to Fez by rental car and in case you need a parking lot outside of the medina, we recommend to book the Riad Passiflora. 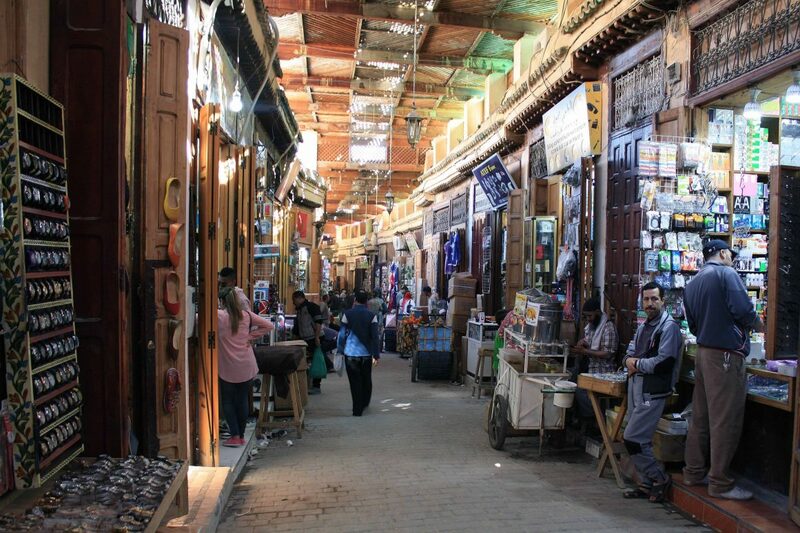 Otherwise you should choose one of the amazing Riads inside of the Medina. 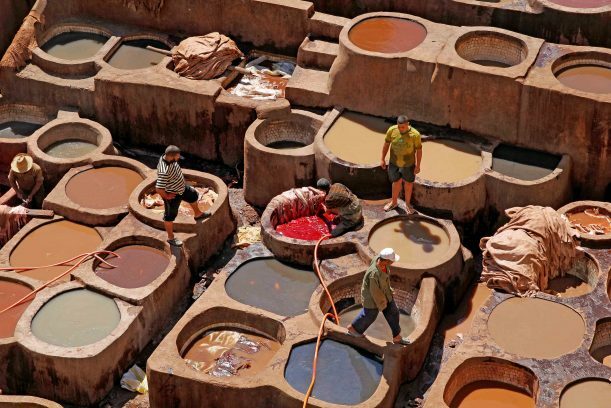 Note: The shop owners of the tanneries can be annoying, you can try to tip them first, so normally they won’t bother you anymore and you can do you photography without disturbing. 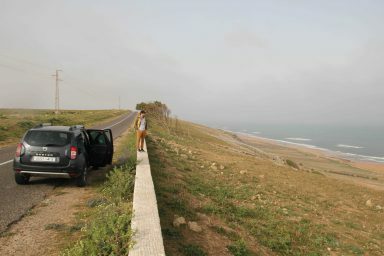 Day 11-12 (270 km) Rabat and Casablanca are totally underrated and lots of tourists missing out on seeing this amazing cities. 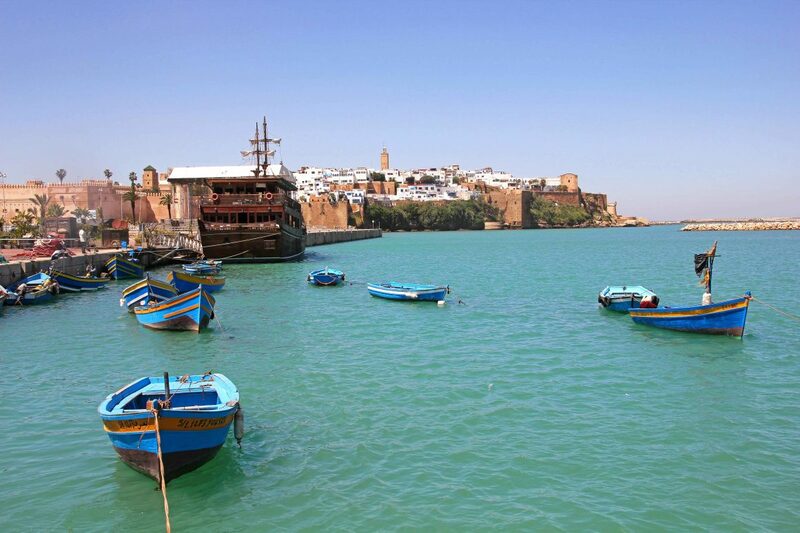 Half day for Rabat and a half day for Casablanca are enough to see the best sights! 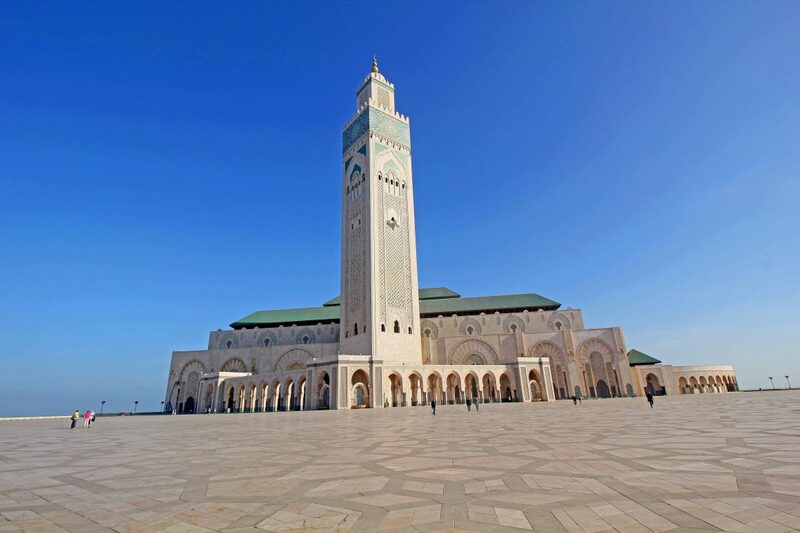 And honestly the the Hassan II Mosque is a must see – but to drive in Casablanca is very adventurous too. 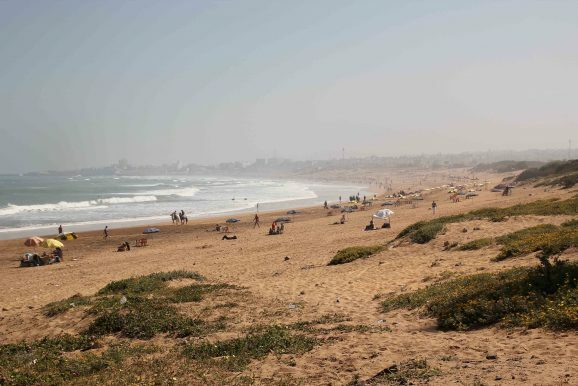 Don`t miss the beautiful seafront of Casablanca. For the night we stayed in a Mohammedia in a fantastic valued Hotel. 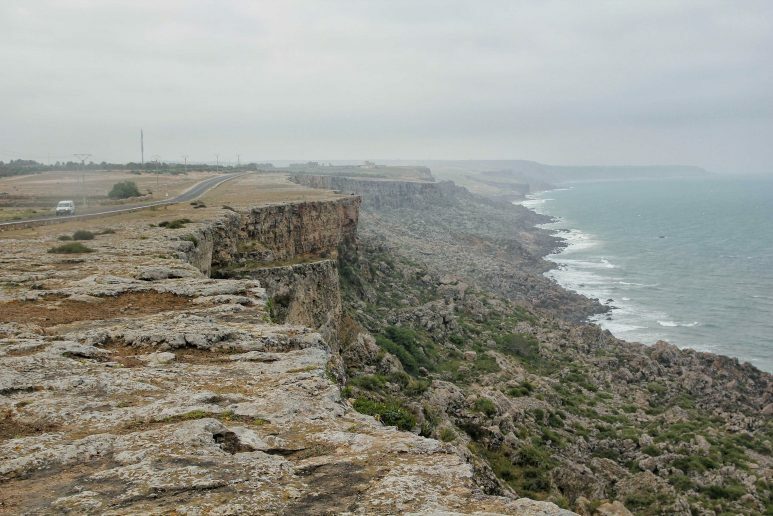 Day 12-13 (400 km) We really loved the Atlantic! 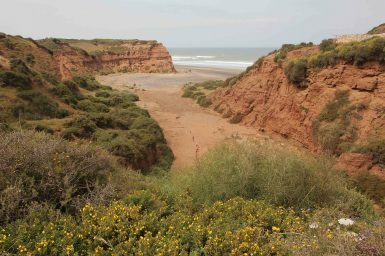 The coast road is spoiled with beautiful wild beaches and impressing cliffs. 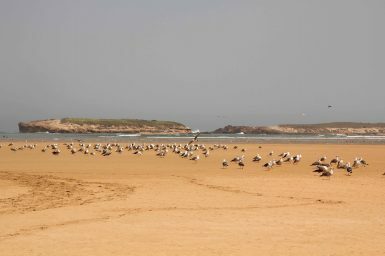 One night we stayed in El Jadida, at the Les Cyprès and one more in Oualidia, a small village with the most beautiful beach for swimming and also very recommended to do a boat trip for birdwatching. 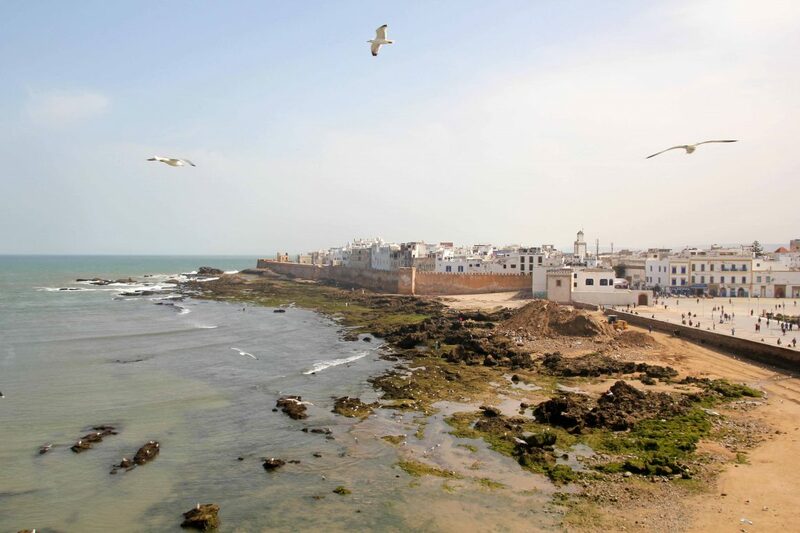 Day 13-14 Essouira also known as “the jewel of the Atlantic” – for us the perfect getaway to relax after the long journey. 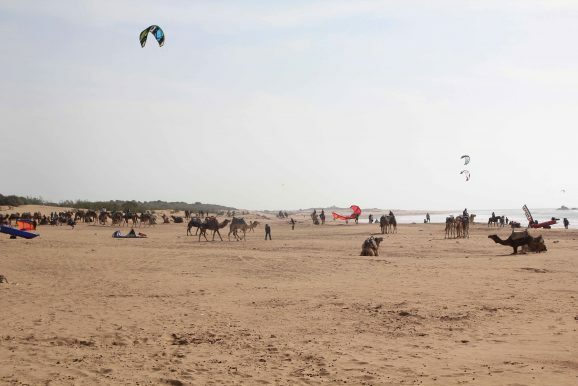 The windy beach is known for kitesurfing, windsurfing, camel ride and long beach walks. 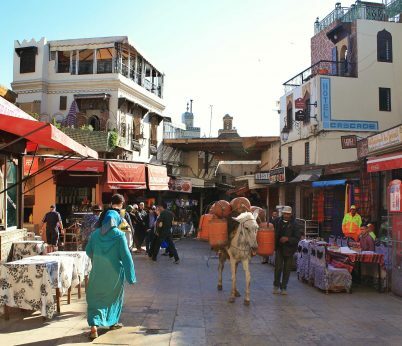 The city itself is lovely, with a souk – of course, witch nice little cafes and plenty of good restaurants. 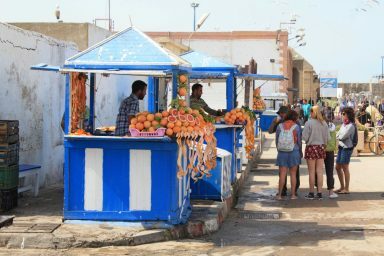 Also the fish market in the morning is also worth a visit! 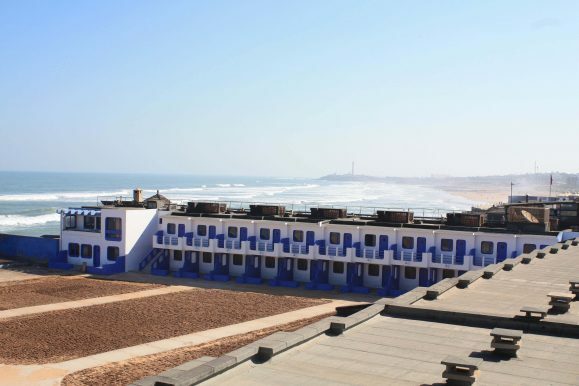 For the night we stayed at the Atlas Essaouira & Spa. 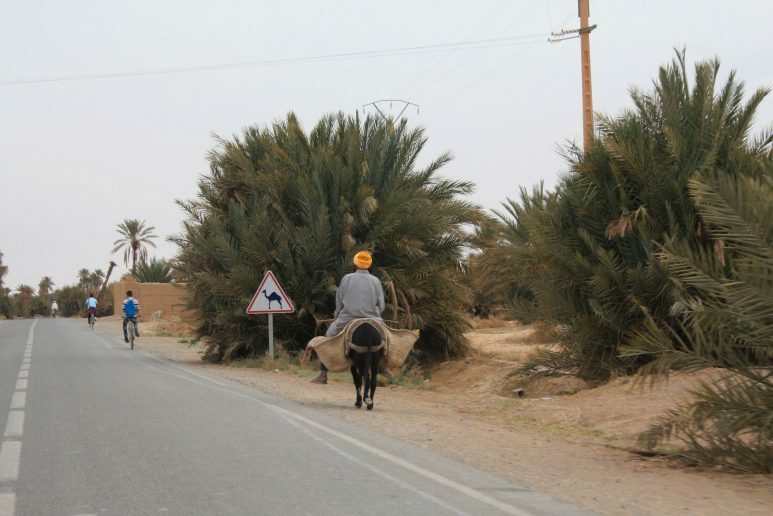 Day 14 (200 km) On the road back to Marrakesh, if you are lucky you can see the tree goats. This was our last stop of our driving itinerary. The last days, we made some more pics and did our final shopping. 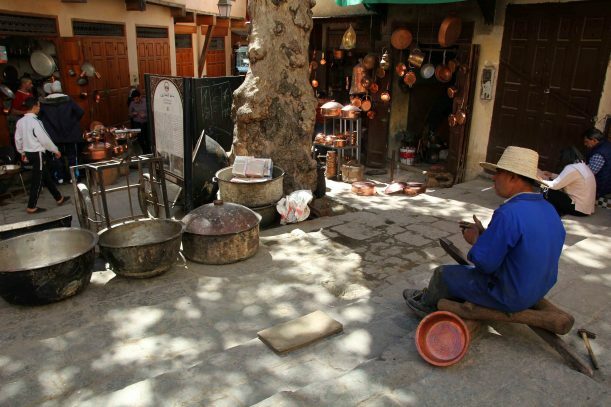 Remember, make sure you planning enough time for your Morocco itinerary! We always do that and that’s so important if you want to have a great time. 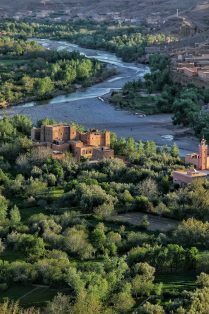 For Morocco the wisdom is: “The way is the goal” – and it’s so true – the best photo spots we found have just been next to the road. 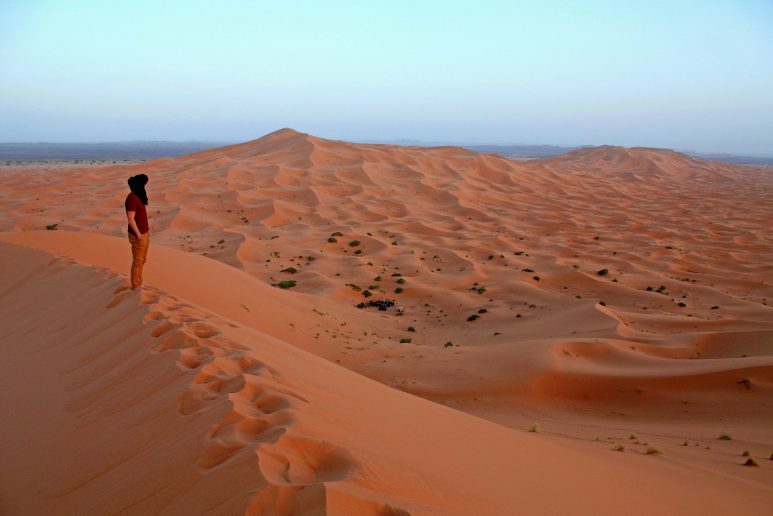 2 weeks or even more are the perfect amount of time to explore the country. 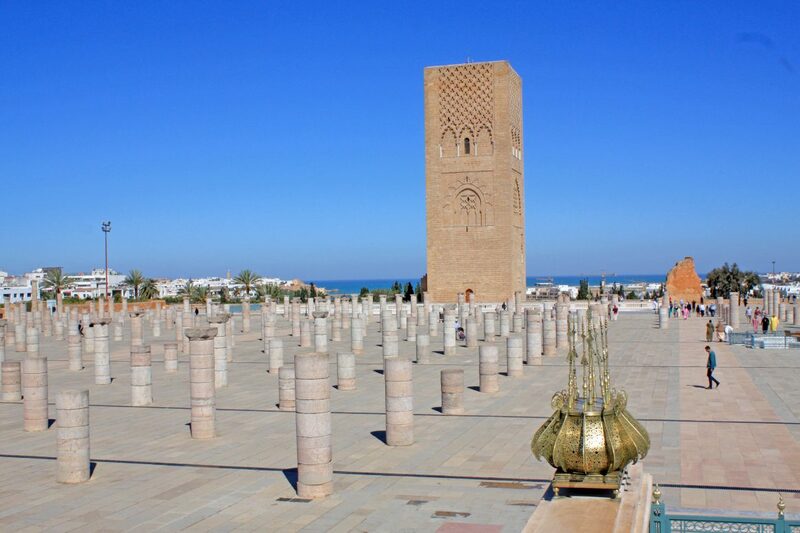 Flights to Marrakech arrive at Menara Airport and we can recommend to book your ticket at Skyscanner. 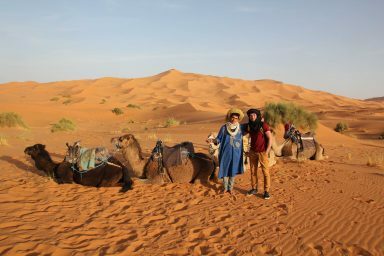 If you don`t have enough time to do a 2 weeks Morocco itinerary by your own, than you still have the possibility to book some exciting guided Morocco Tours and Activities. 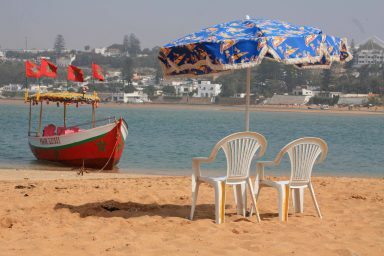 If you have more time than two weeks, you can also visit Chefchaouen (the blue city), Tafroute, Ouzoud waterfall, the Legzira Beach, Taghazout and Taroudante. 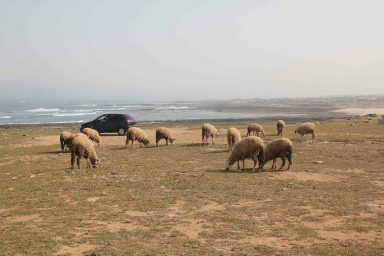 If you are planning a road trip in Morocco and you would like to do lots of sightseeing we recommend to explore the country by car. Anyhow, with your own car you are going to be much more flexible then traveling with a tours bus. At least 2 weeks or better more should be planned for visiting all the wonderful places and sights. Definitely, you should rent your car in advanced and compare the prices! Don`t forget to book a car insurance. 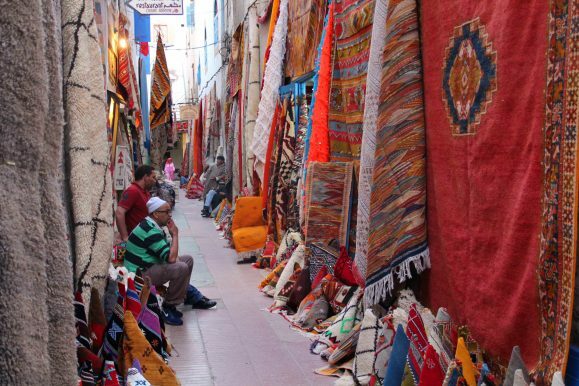 Thanks for reading our Morocco itinerary! 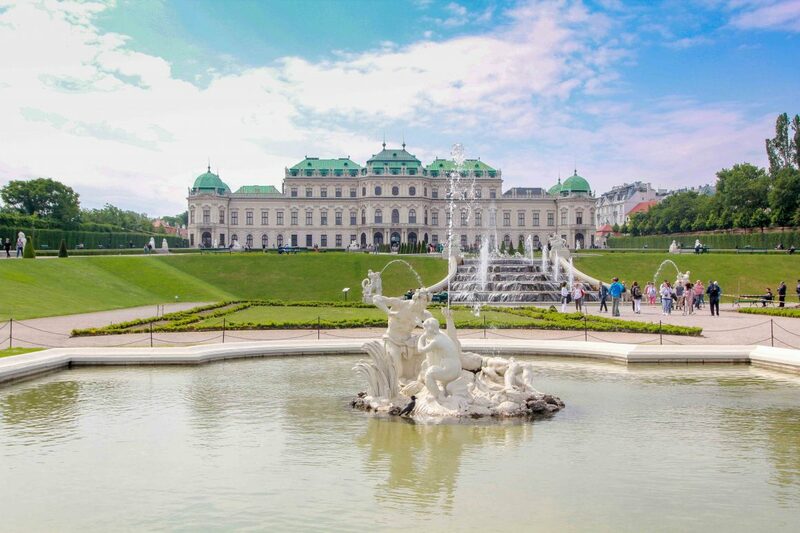 Visiting Vienna in 3 days is a fantastic option to explore the exciting city and all the amazing sights. 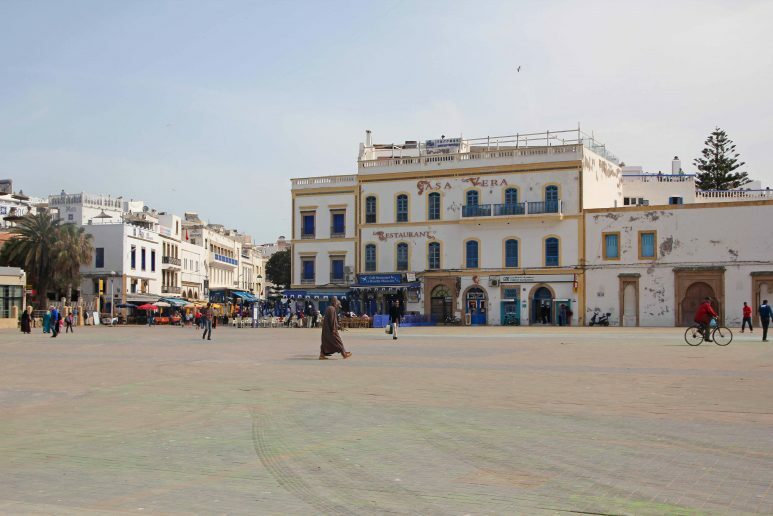 In that amount of time you can visit all the best parts of the city including the main sights and top attractions. 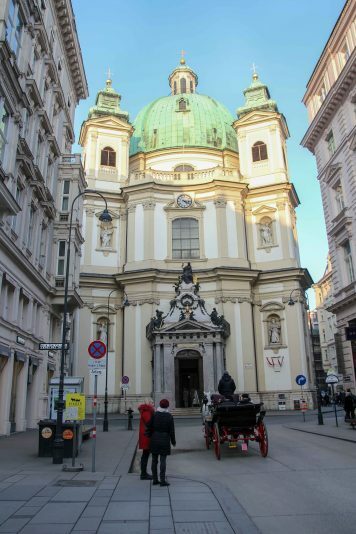 For sure, you will love this old new city, the vibrant life and the delicious Austrian food. 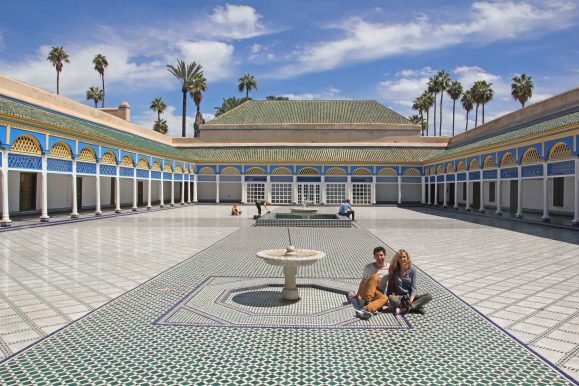 There is so much to see and to do and definitely, this 3-day itinerary will give you a great overview of the must-see sights and the travel highlights. Vienna is an incredible beautiful city and three days can be enough time to see the capital of Austria. 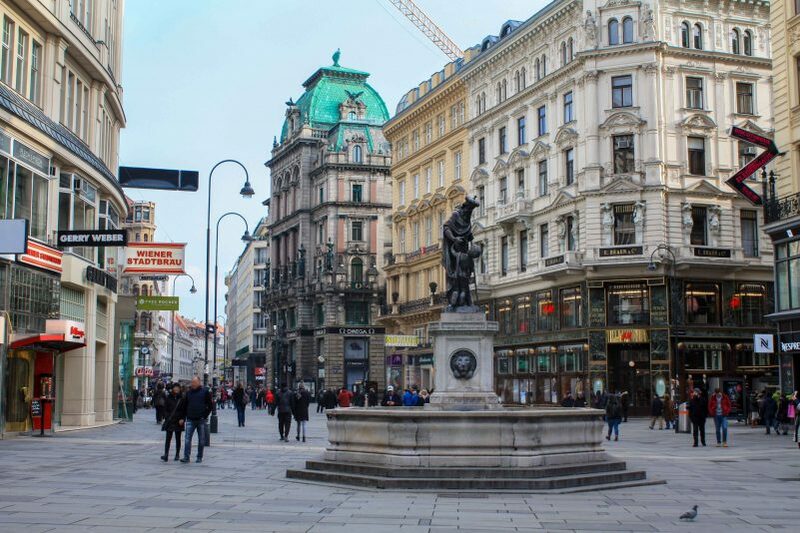 In this blog article we are going to share our ultimate 3 days itinerary for an unforgettable trip to Vienna and additionally we show you what to see and what to do while staying in this wonderful austrian city. 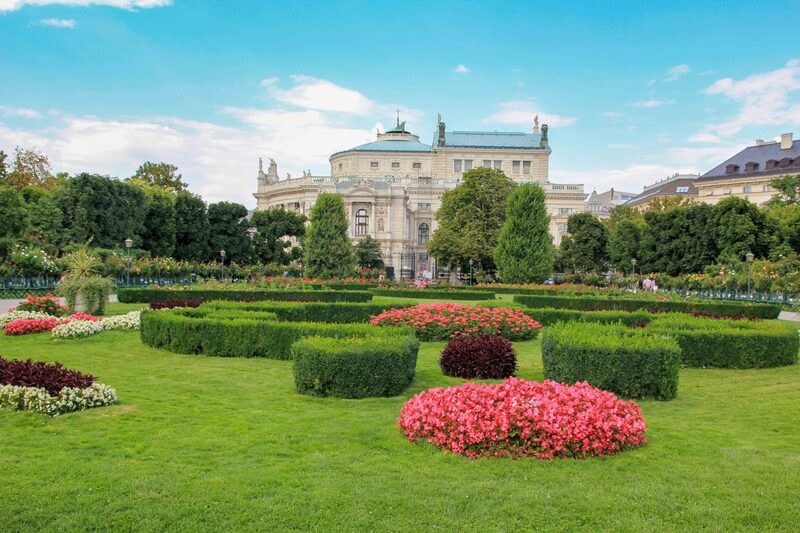 Start your Vienna trip with exploring the beautiful Belvedere Palace and the magnificent baroque gardens. 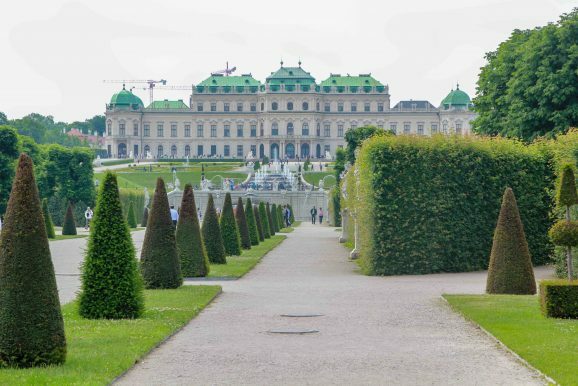 At first walk from the Upper Belvedere down to the Lower Belvedere and enjoy the outstanding beautiful scenery. We really loved the flower gardens and the reflecting pool in front of the palace. 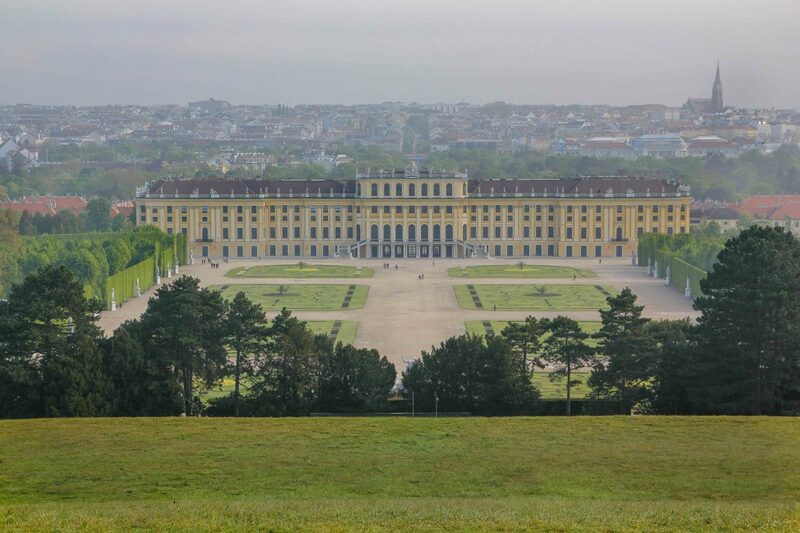 Even though the Belvedere is one of Vienna’s most impressive palaces, at morning time you will have all the area nearly to yourself. 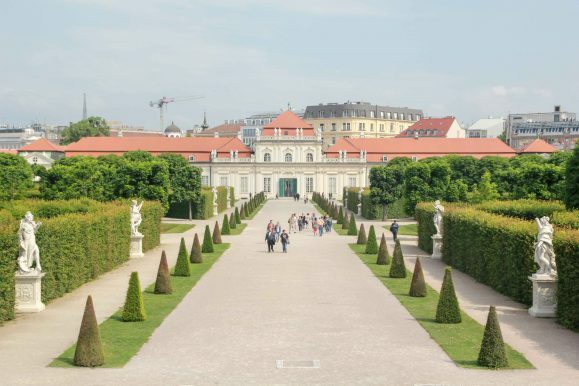 In case you are a fan of art you definitely should consider a visit of the Belvedere museums too: A permanent exhibition at the Upper Belvedere displays among others the world-famous Klimt´s Kiss. 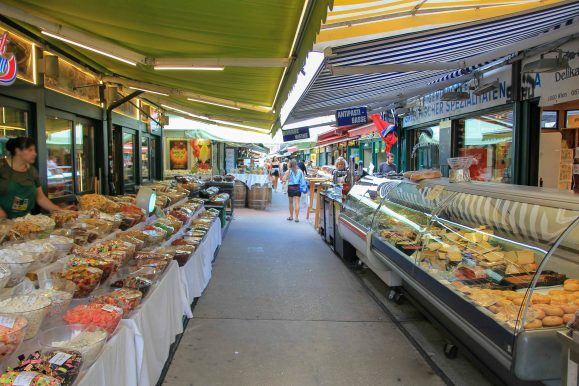 At early lunch time we recommend a visit to Vienna’s most popular market, the Naschmarkt which is just a short walk from Karlsplatz. Make a stop at the St. Charles Church, an eye-catching religious building with a magnificent blue cupula. Not just in summer, but also in winter the Karlsplatz is really worth a visit at this time a traditional Christmas market is taking place in front of the church. 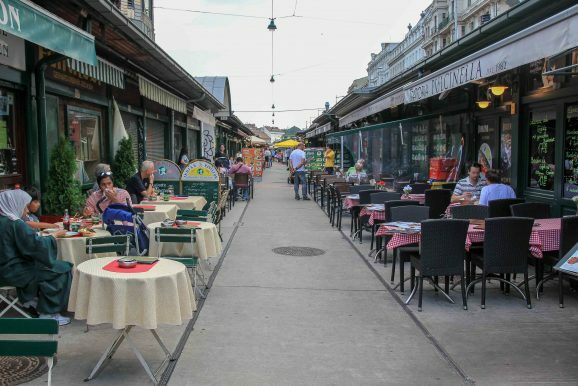 Without a doubt the Naschmarkt is one of the coolest places to have lunch in Vienna and a popular meeting point for young and old. 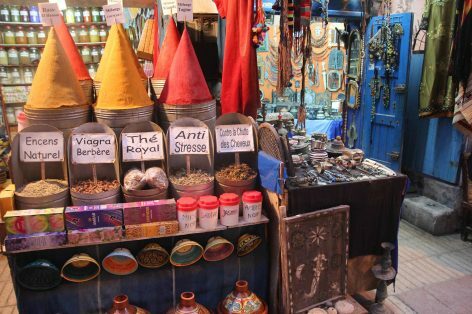 In generally, the market has around 120 market stands and restaurants, selling exotic products and delicacies from all over the world. 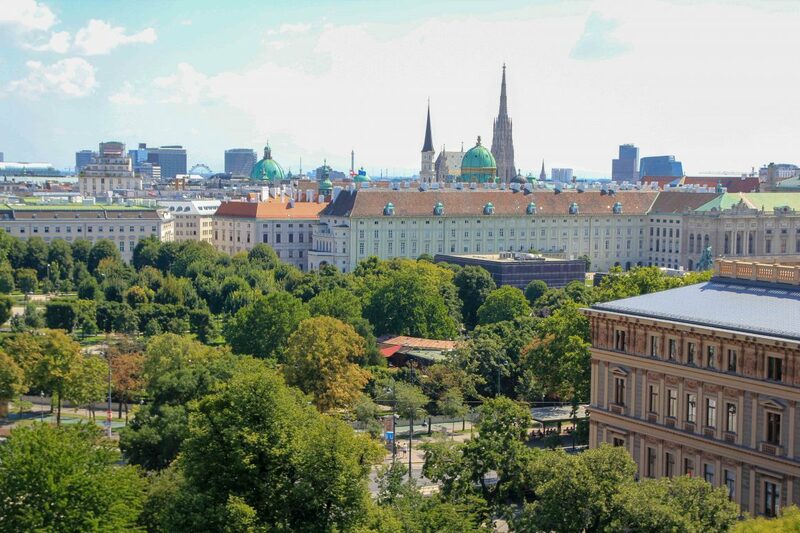 The Ringstrasse is a 5,3 km long road that circles Vienna’s city centre. 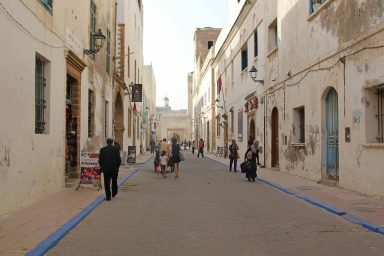 On that street, you are going to pass some of the most remarkable and breath-taking buildings of the town. 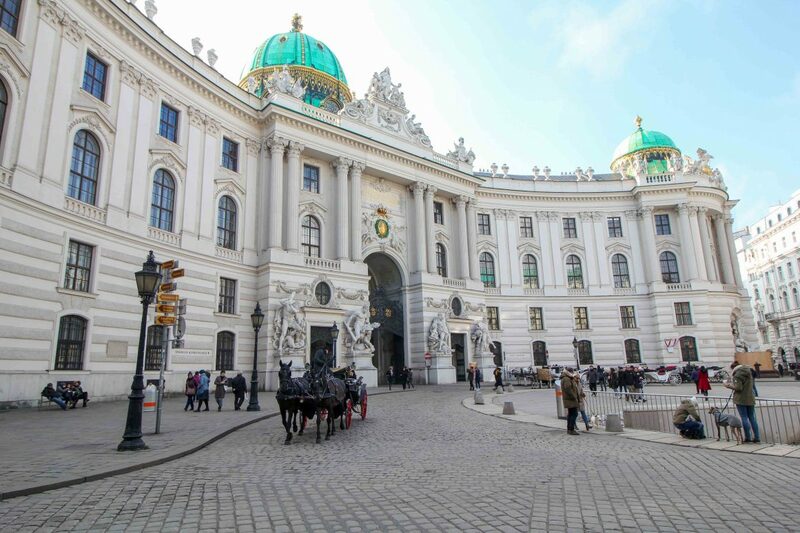 The most noteworthy sights are the Parliament, the City Hall, the Imperial Palace (Hofburg) and the Burgtheater. 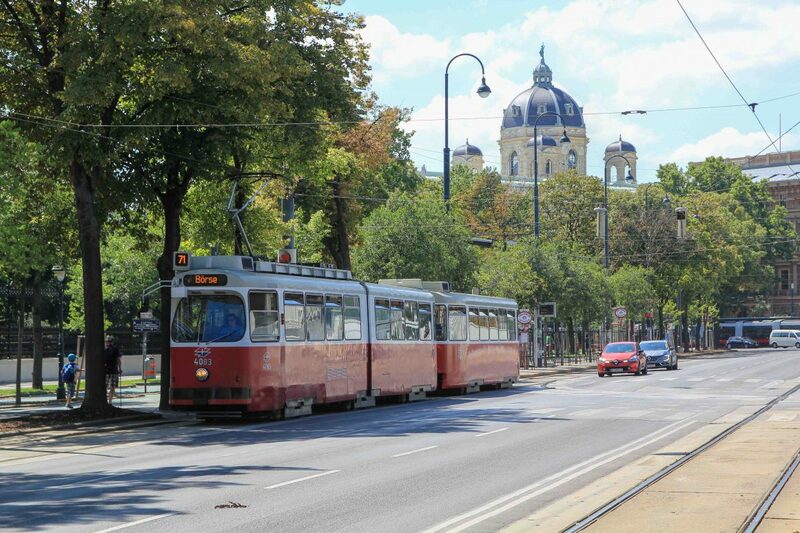 A lovely option is to tour the Ringstrasse on the tourist Ring Tram or you can also catch the public city tram (Nr.1 & Nr. 2). 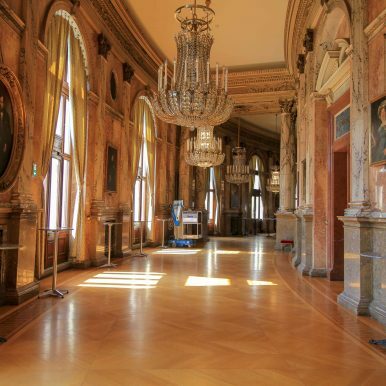 If you have some time left we recommend a visit inside the glorious Burgtheater. 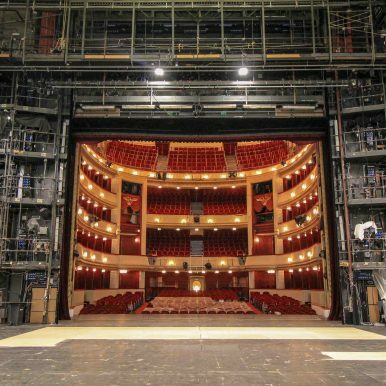 You can visit this theatre without seeing a performance by taking a guided tour (daily 15:00). 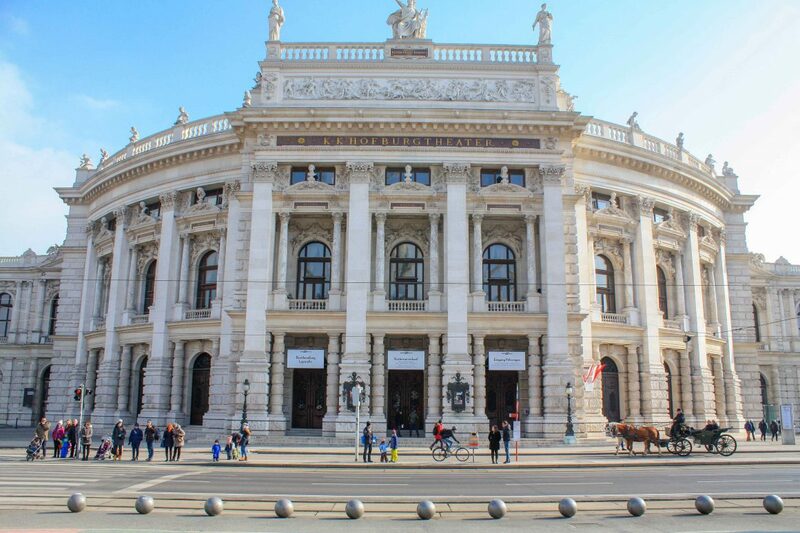 There you will learn a lot about the fascinating history of the Burgtheater and you will get a look behind the scenes. 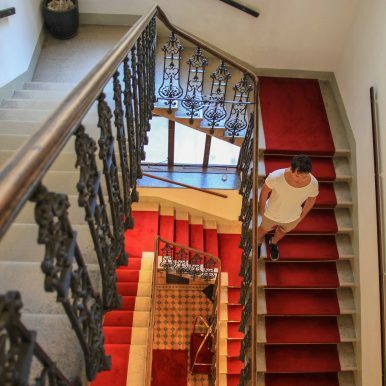 On top you are going to see the breath-taking beautiful grand staircase and the famous ceiling paintings by Gustav Klimt. 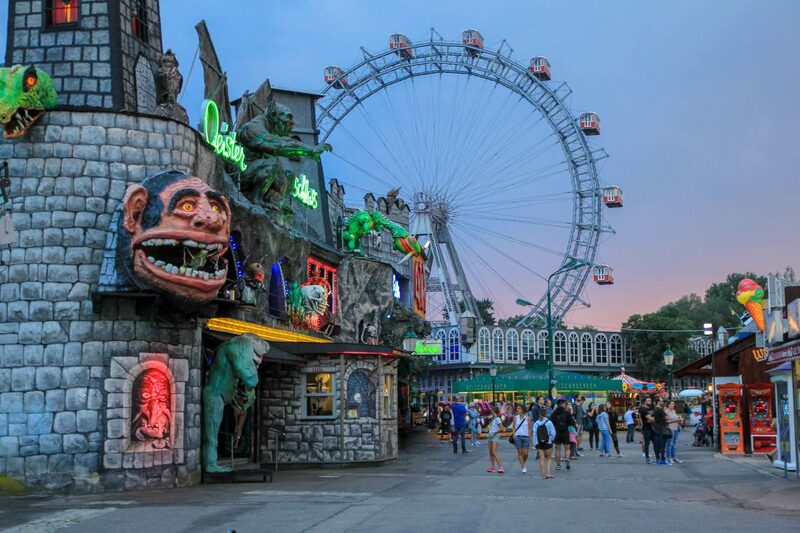 For the evening we round of our first day of sight-seeing with a visit to Vienna’s amusement park the Prater. Why not dine out at the Schweizerhaus restaurant for tasting its famous Schweizerhaus Stelze or a traditional Wiener Schnitzel?! 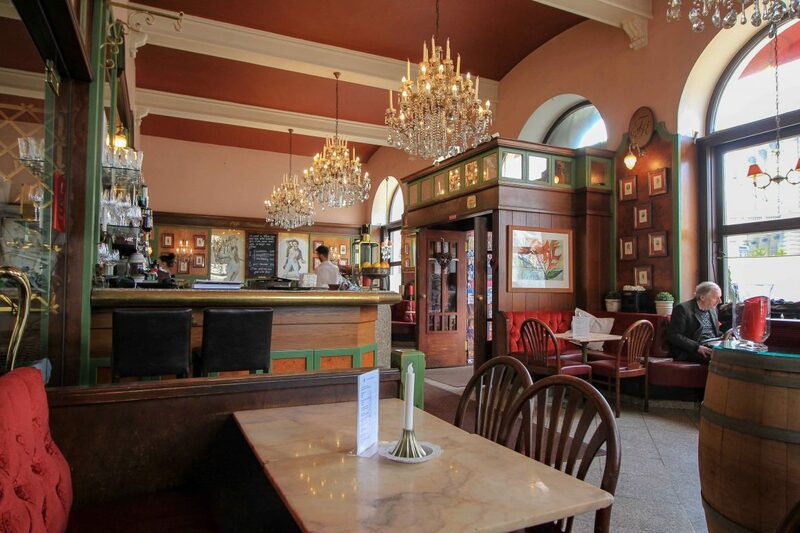 It is famous for serving the best Schnitzel in Vienna! 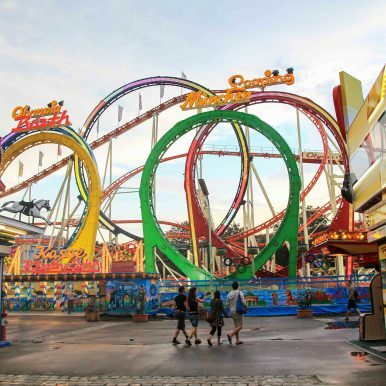 For entering the Wiener Prater you won`t have to pay any entrance fee, you just have to pay for the attractions you would like to ride. 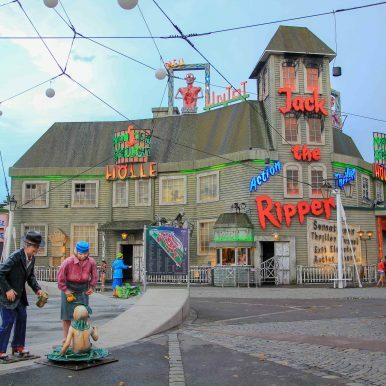 Even if you are not that kind of adrenal junkie you will love exploring the nostalgic Prater with its unique atmosphere. 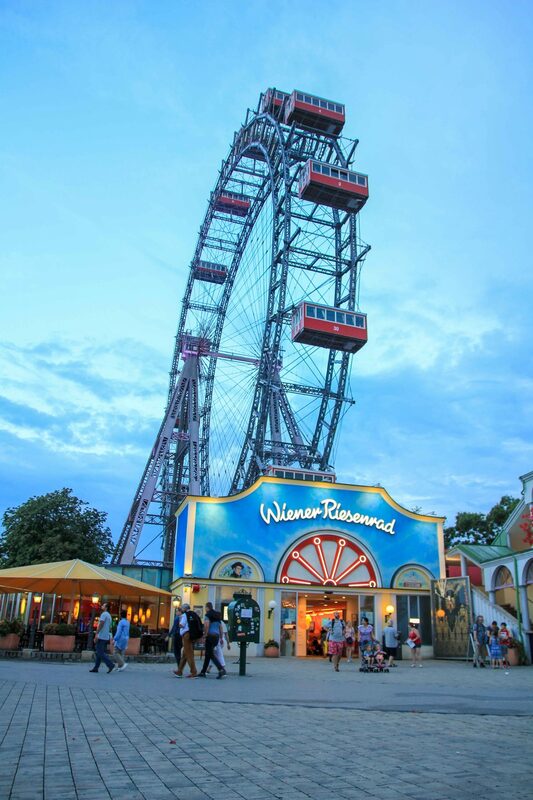 Recommended is a ride with the Giant Ferries Wheel which is Vienna’s landmark. 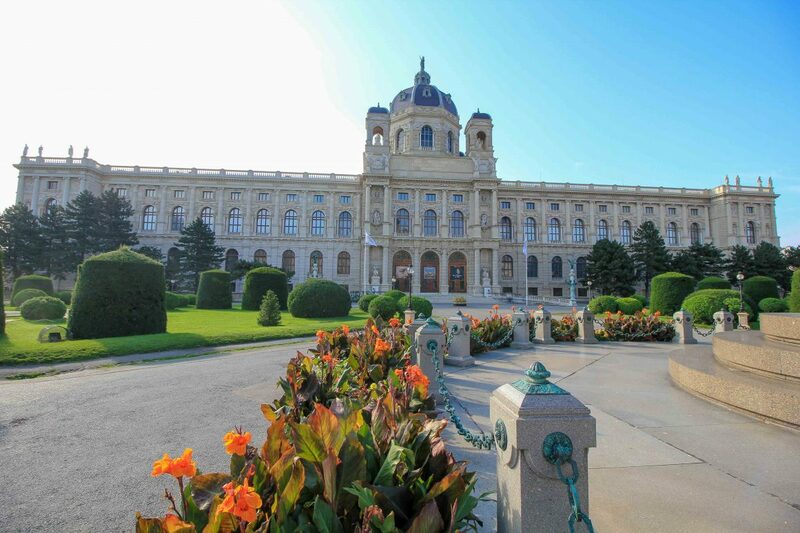 A trip to Vienna won’t be complete without visiting one of the numerous museums. Actually, we loved visiting the Museum of Natural History. The huge museum exhibits over 30 million objects and we had been fascinating by the dimension. Also, the Art History museum located at the opposite is well worth seeing. 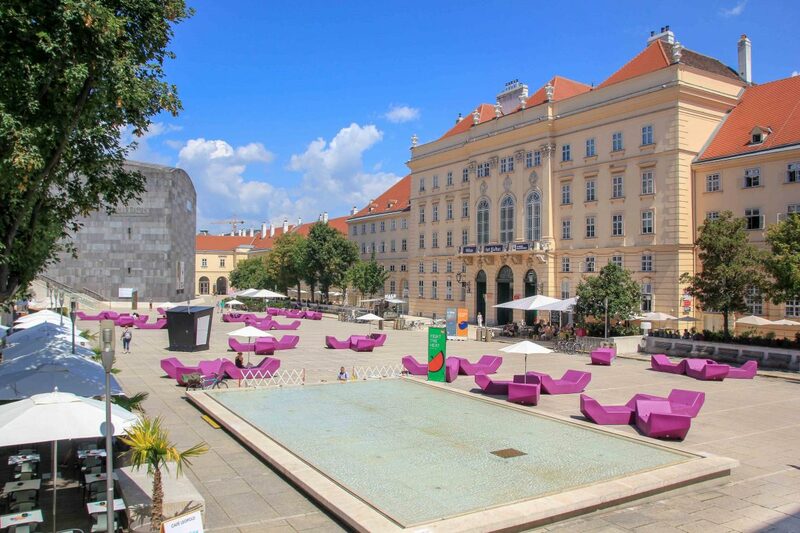 Absolutely interesting is the MuseumsQuartier, spreading over 90,000m2 encompassing 60 cultural institutions. If you are around also take the chance to look inside the Palace of Justice! 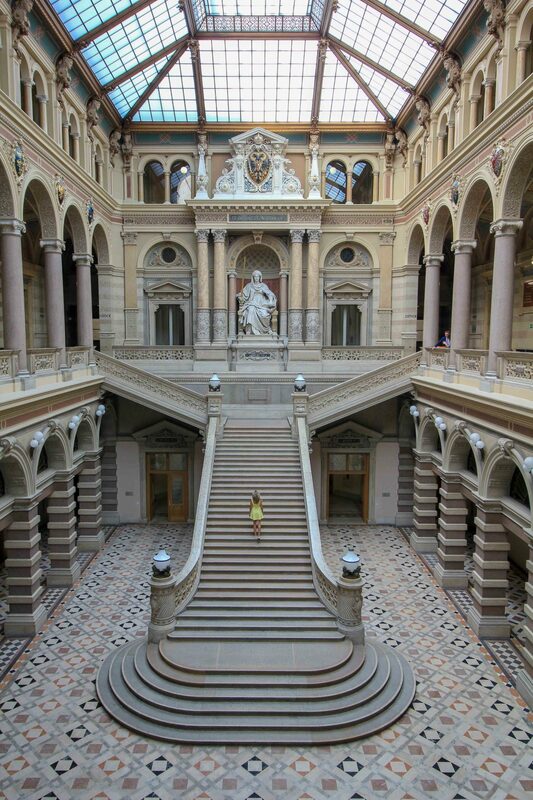 Step inside and you will find yourself in one of the most impressive locations you will find in Vienna. 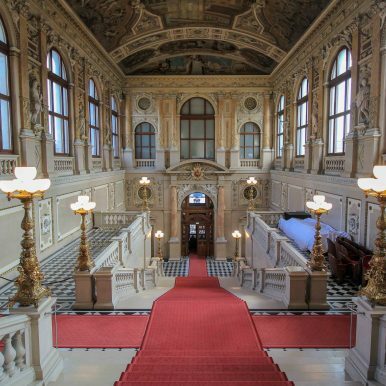 The grand staircase dominates the huge hall and the imposing interior will take your breath away! Most of the people don`t know that the building is open for the public and the entrance is for free. 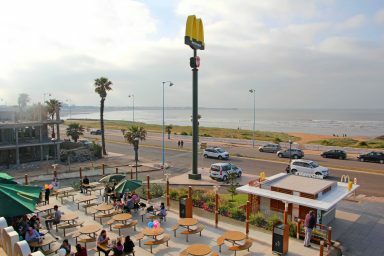 Furthermore from the roof-top Cafè you will have an amazing view. After spending the morning inside a museum, you should hit off to see the world-famous Lipizzaner horses. 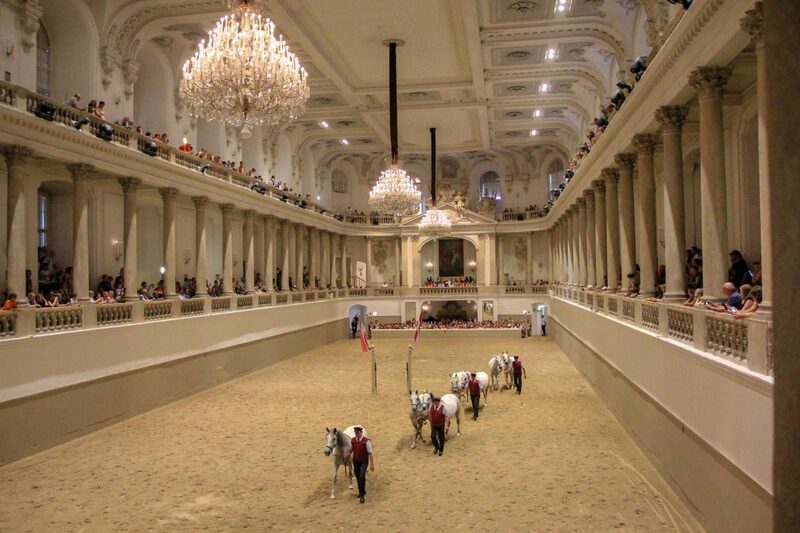 Best you cross the picturesque square Michaelaplatz to buy tickets for the Spanish riding school. 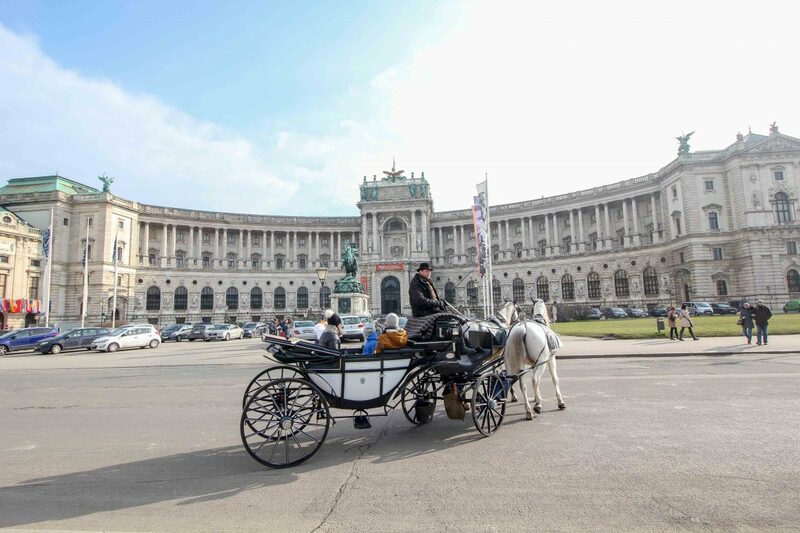 Just take a rest at the baroque square and watch the traditional Vienna Fiaker passing by. Visiting the white Lipizzaner show was just lovely. It was so interesting to watch the horsemanship accompanied by classical music. Good to know: This noble horse and the traditional stallions can be seen for free, just peep in at Reitschulgasse 2. 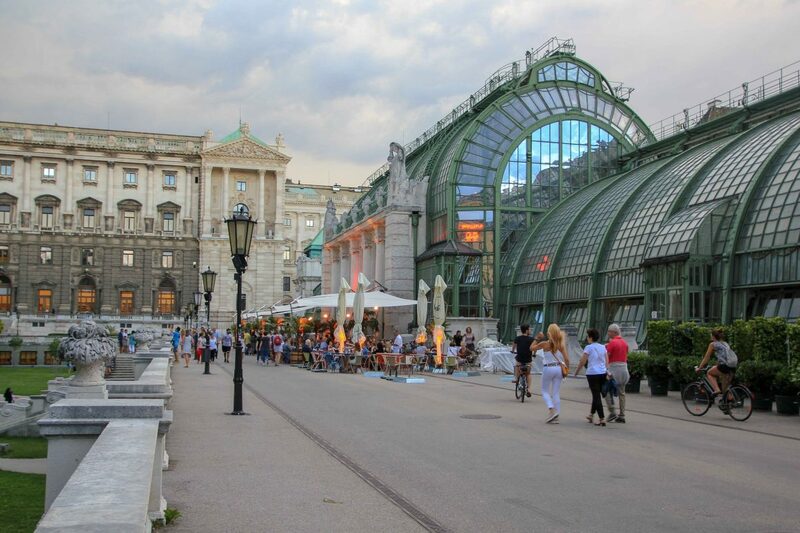 Another must do in Vienna is a visiting an original Viennese coffee house. You are going to find plenty of them inside Vienna’s Old town. All along, the Viennese coffee house is a typical institution of Vienna that plays an important role in Viennese culture. Have a break, enjoy a delicious “Melange” coffee and soak in this elegant and very specific atmosphere. 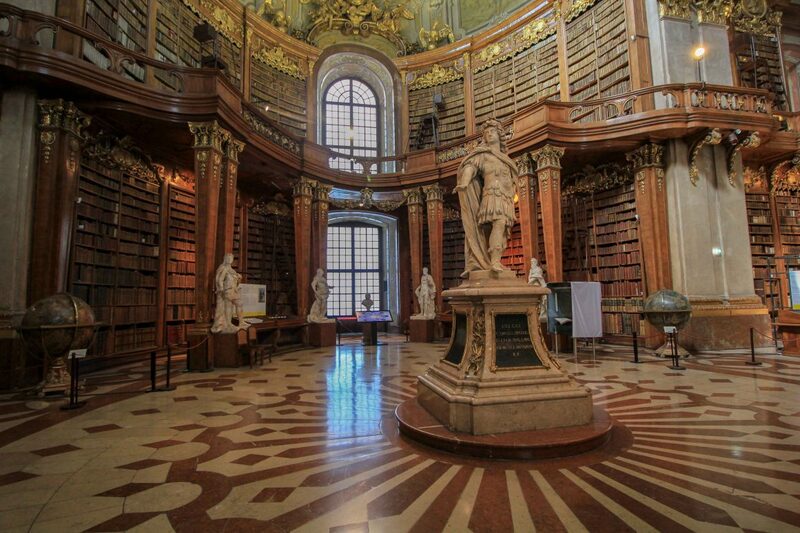 Later, we recommend to have a look inside the Austrian National Library, the State Hall. The imposing baroque hall impressed us a lot! More than 200.000 tomes are exhibited and four picturesque Venetian baroque globes grace the ancient library. Most surprising for us was the visit inside the Imperial Crypt also named the Capuchin Cryp. 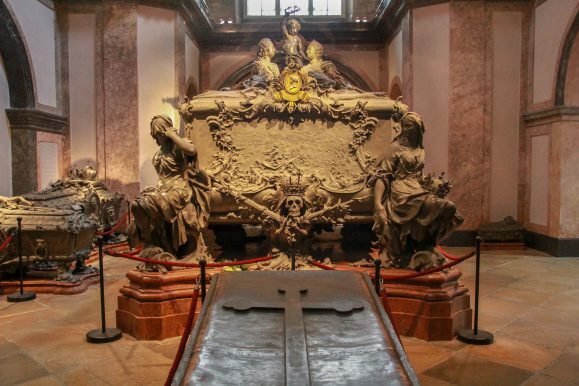 That place contains the bodies of the Habsburg rulers: 149 Habsburgs, including 12 emperors as well as 19 empresses and queens, have their final resting inside the crypt. 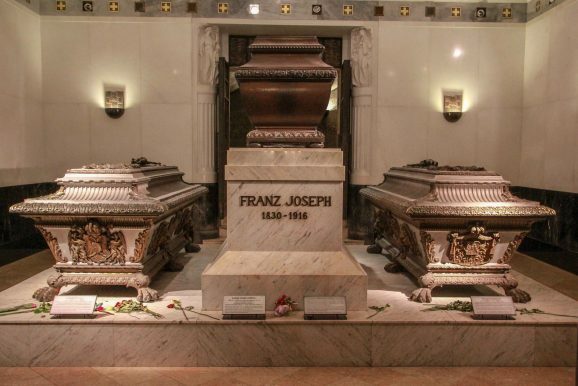 Popular examples are Franz Joseph I., Empress Elisabeth and Crown Prince Rudolf and visitors can observe their magnificent free-standing tombs. 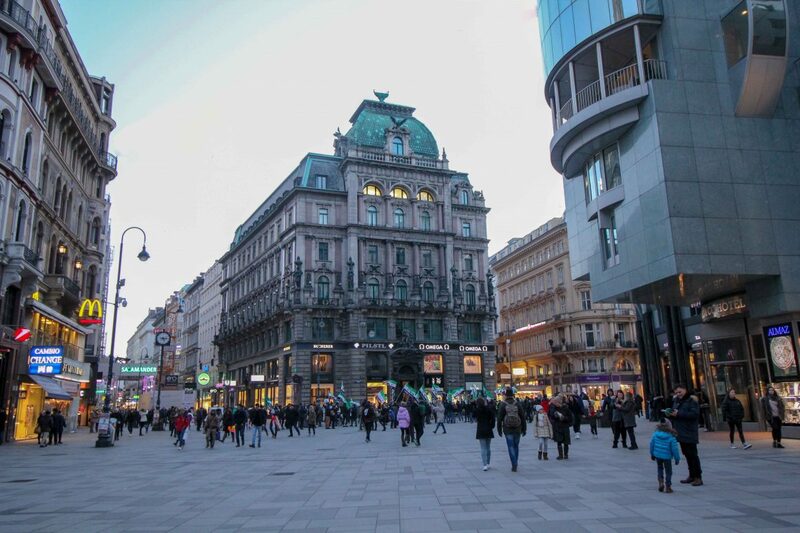 Don`t leave the town without window shopping at the Graben, the Kohlmarkt and the Kärntnerstraße, Viennas most exclusive shopping streets! 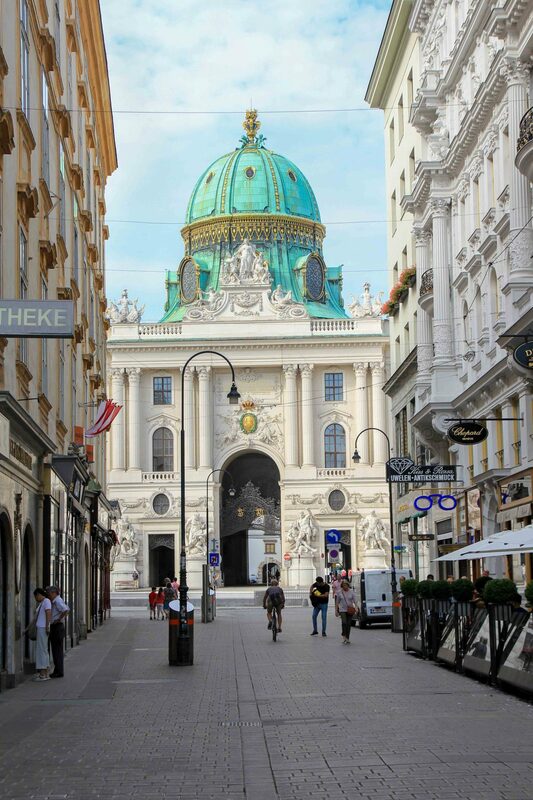 Even if you don`t likes shopping, walking down the Graben street towards the St. Stephen´s Cathedral. With its beautiful architecture like the Peterskirche the short walk is really pleasureable. 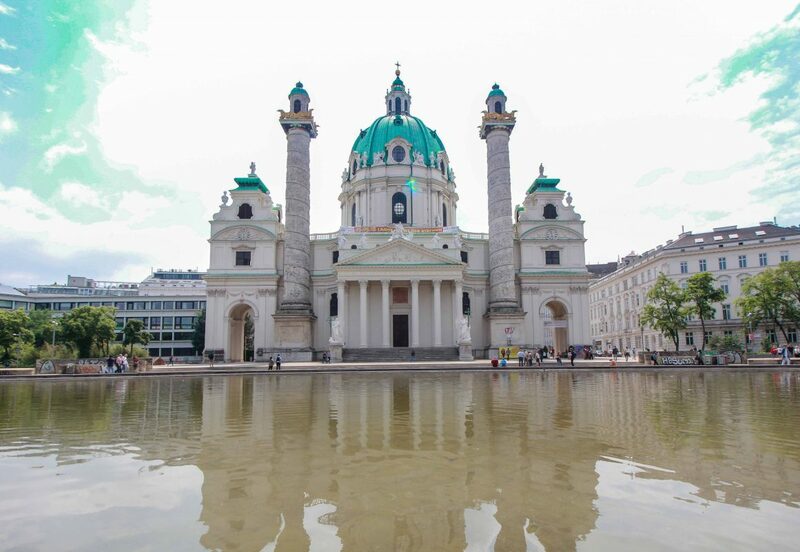 St. Stephen´s Cathedral is one of the main attractions of Vienna and the inside as well as the outside are worth a visit. But also recommendable is the view from the top of the Cathedral. 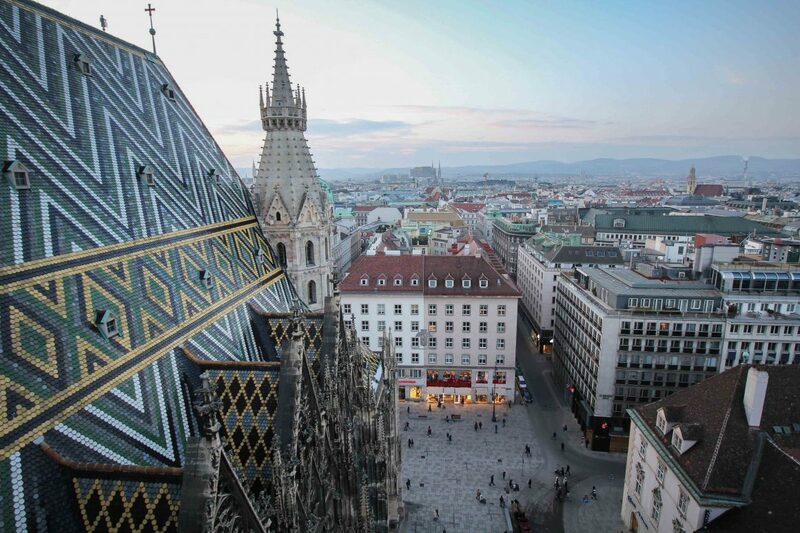 You are going to have the best view of Vienna at the northern tower (Pummerin). 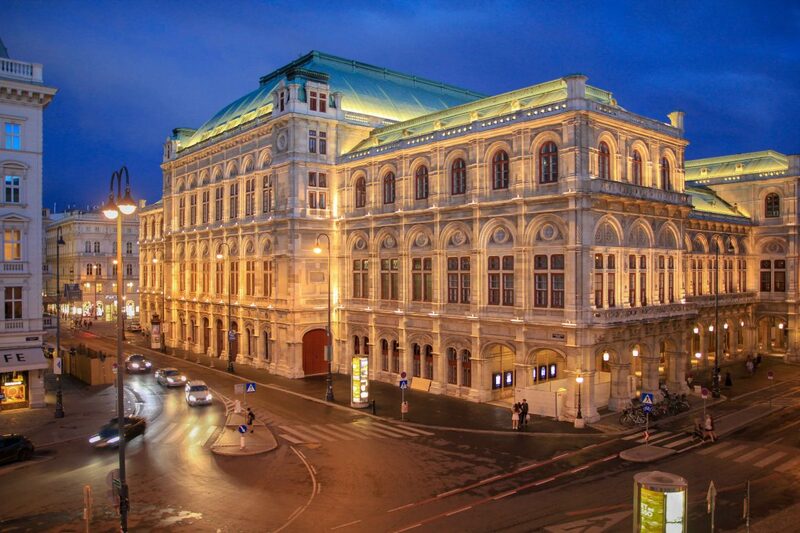 As few of the main sights are located along the Ringstrasse, for example, the Opera house and the Burggarten. 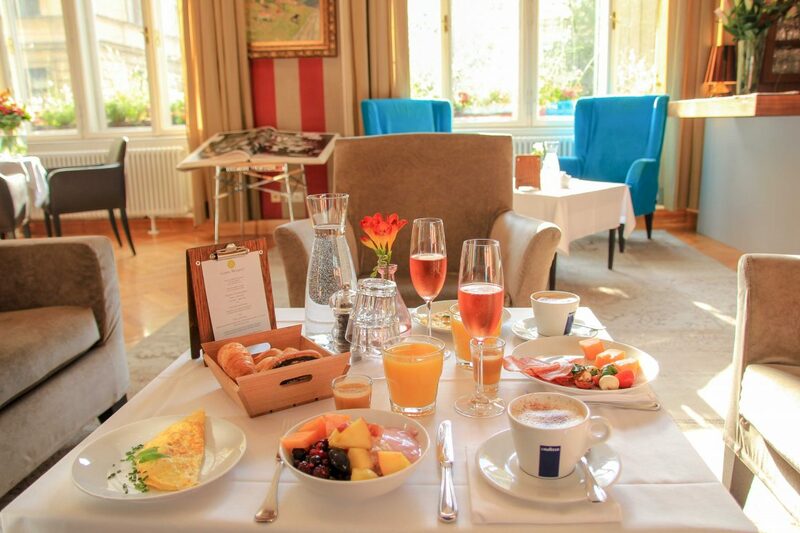 Take a break at the wonderful Palmenhouse at Burggarten and enjoy the picturesque scenery. As soon as the sun goes down head of to see the Opera house: At night the Opera is stunningly lit and looks drop-dead gorgeous! After breakfast, set off to Schönbrunn Palace! 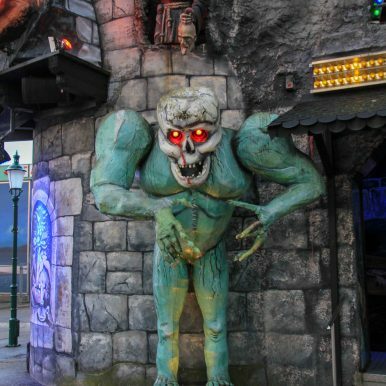 Because it’s Austria’s most visited tourist attraction you should be there early. That’s why at morning time you will find a calm and peaceful location. 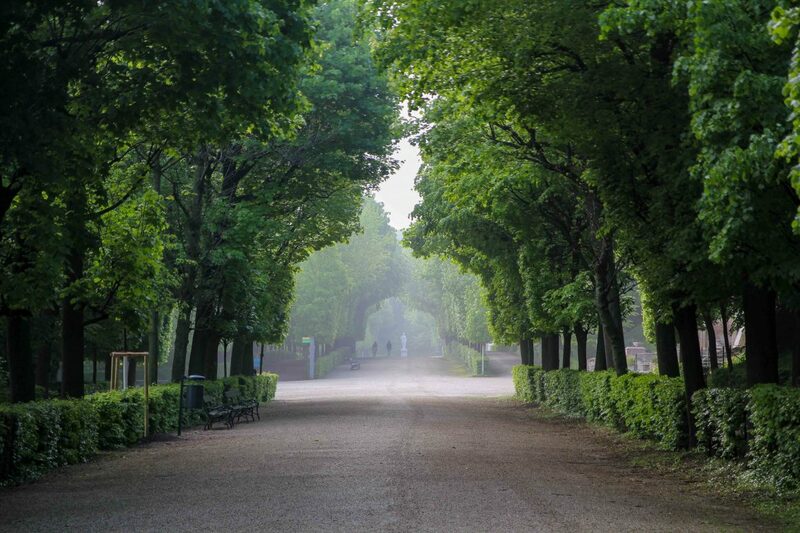 Take a stroll along the magnificent Schönbrunn Gardens and inhale the grand imperial atmosphere. Also you shouldn’t miss to walk up to the Gloriette and get rewarded with one of Vienna’s most breathtaking views. 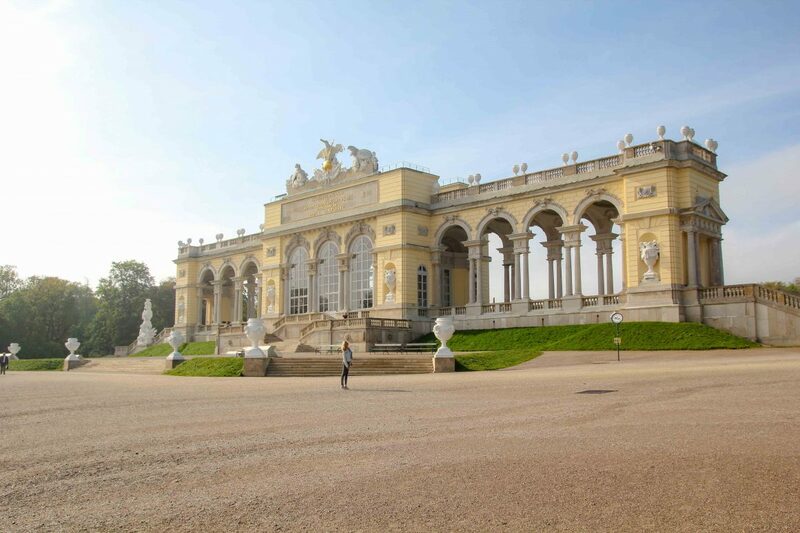 Take some time to explore the Schönbrunn Palace. 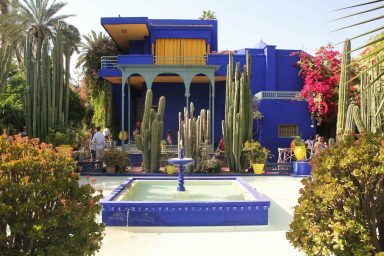 We had been surprised about all the picturesque smaller gardens, fountains and statues. 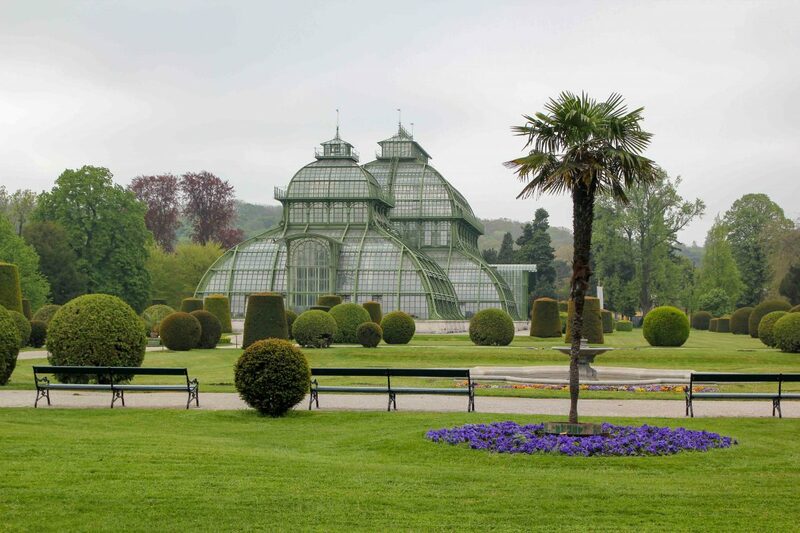 There’s even a Palmenhaus and the world’s oldest zoo, the Schönbrunn Zoo to explore. 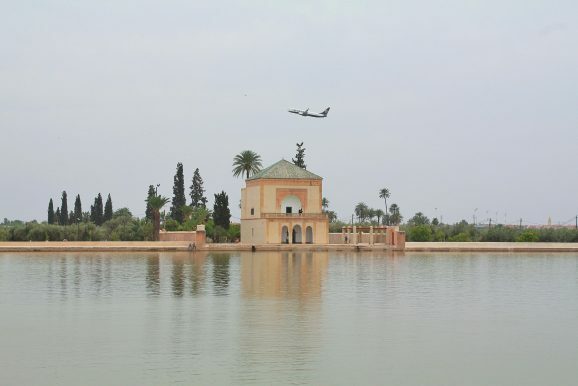 The entire area is part of the imperial summer residence and is even listed as an UNESCO world heritage site. 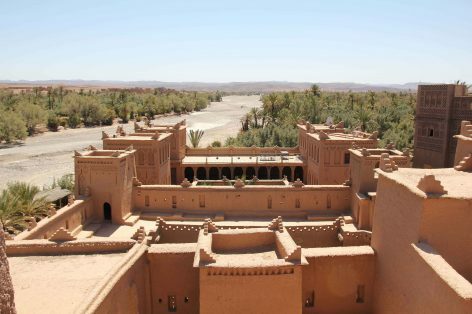 The palaces itself is enormous, with a total of 1,441 rooms. Certain parts of the castle and exhibitions can be visited. 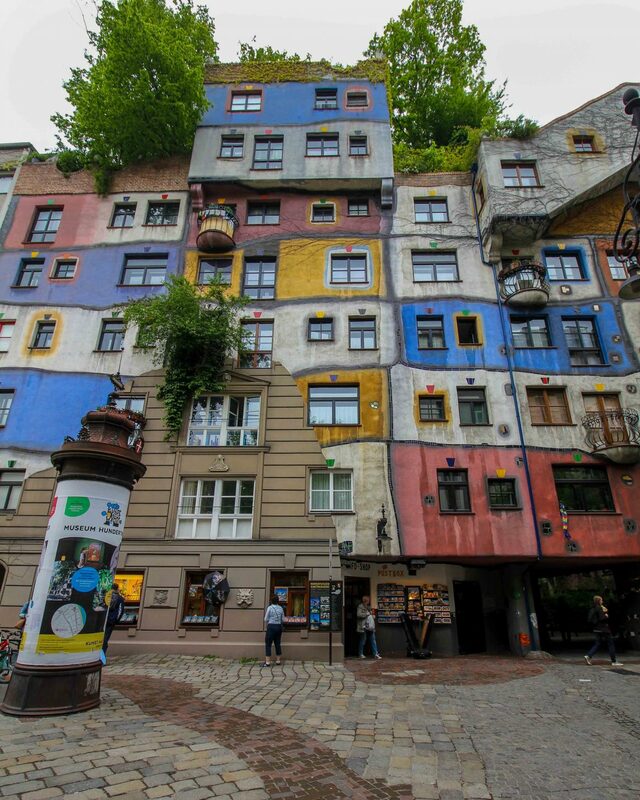 If you are interested in outstanding architecture you should definitely go and see the popular Hundertwasserhouse. This architectural masterpiece was designed by Friedensreich Hundertwasser and constructed between 1983 – 1985. You have to know that The Hundertwasserhouse can only be viewed from outside but the exterior façade draws attention to itself and gives a fantastic foto motif. Our tip: Hundertwasser also transferred the incinerator at Spittelau in something extraordinary! 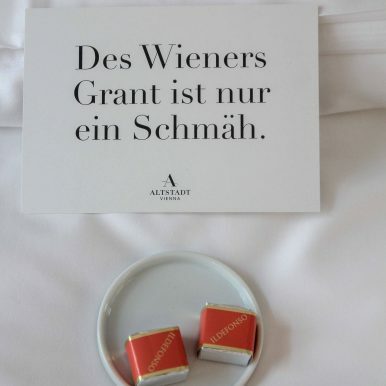 For our latest city trip to Vienna we had been guests at the hotel Altstadt Vienna. It’s located in Vienna’s hippest and fashionable 7.th district “Neubau” in Spittelberg also named as Boboville. 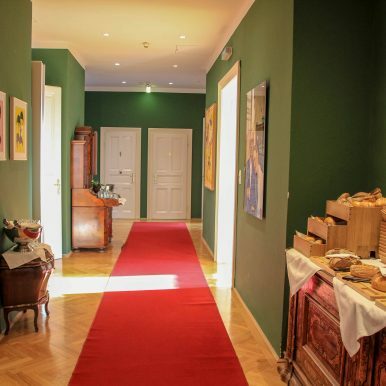 In fact the hotel is a venerable traditional Viennese patrician house that offers around 60 hotel rooms. All of the rooms are held in a unique design, each of them is different and so inspiring. Different designers and architects created the interior of this unique boutique hotel and we really loved our stay in the beautiful Lilli Hollein Suite. Everything felt so much like home and even better. 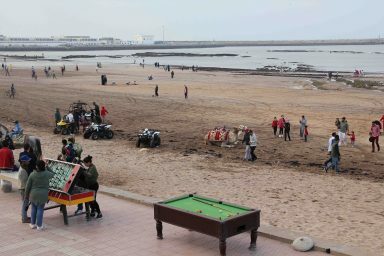 There are so many nice touches like free afternoon tea and sweets-buffet, outstanding breakfast, free homemade ice-tea for hotel guests to the helpfulness of the staff and free newspapers and magazines galore. Also unique was having the excellent breakfast inside the lovely salon area: An incredible delicious buffet with different kind of cheeses, hearty breads and rolls with all kinds of spreads, healthy cereal, smoked salmon, smoothies, Viennese coffee, high quality tea and even prosecco – in the background classical music – a great way to start the day! On top the hotel is conveniently located just a short walk from the subway and tram. 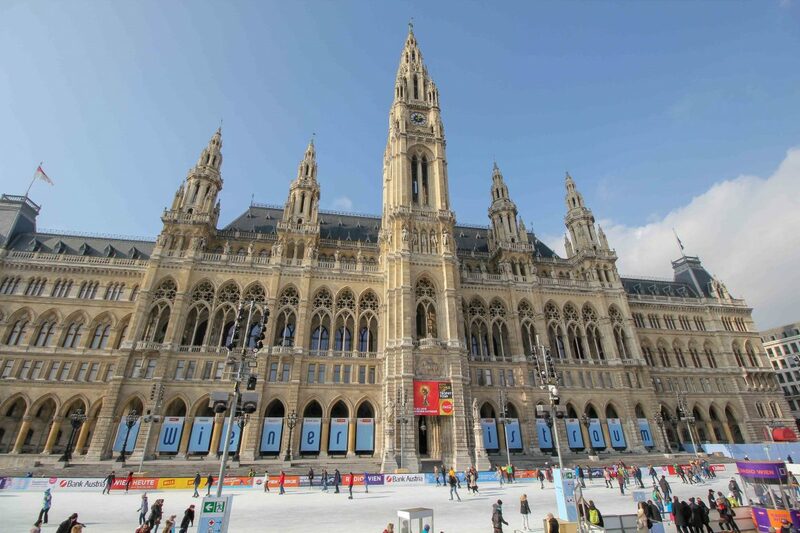 Museumsquartier, Natural History Museum & Art History Museum, Rathaus and Burgtheater are all in walking distance and great restaurants and bars are just around the hotels corner. If you like to learn more about traveling in Central Europe, you should check out “the epic central europe itinerary“. Disclosure: Some of the links below are affiliate links. Meaning that if you click on certain links, and then subsequently purchase a product, I will receive a small commission at no extra cost to you. 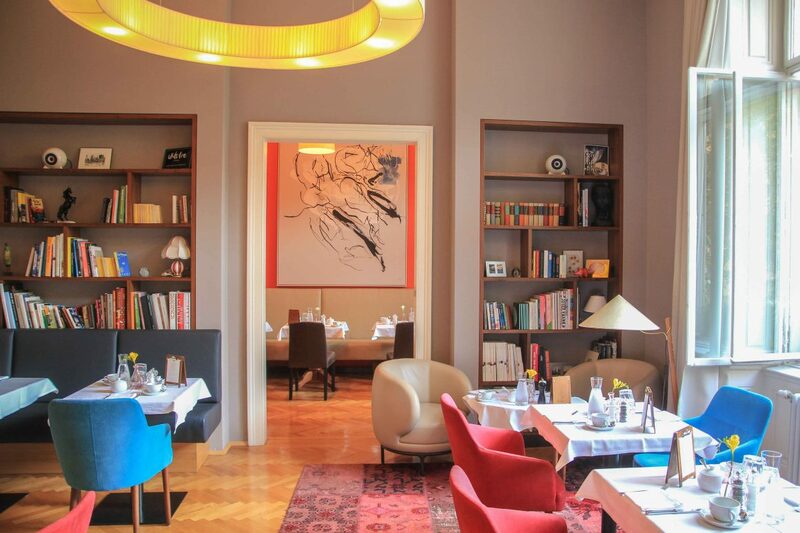 Transparency: For this stay we were invited by Hotel Altstadt Vienna. As usual, our opinion remains unaffected. Hauntingly beautiful islands, crystal clear turquoise waters and world class white powder sandy beaches: The West Coast of Thailand is an amazing travel destination and travellers and backpackers from all over the world flock to see the world’s best beaches. There are more than 300 islands waiting for you to be explored and so it makes sense to visit some of the most beautiful ones by island hopping. No matter if you are up for luxury travel or if you prefer to travel the islands on a budget – your trip will be an amazing und unforgettable experience. This article is all about an epic Thailand Island Hopping Tour from Krabi to Koh Lipe, an ultimate travel guide about visiting some of the best islands of South Thailand. 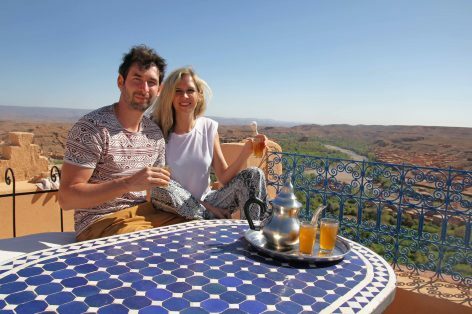 Further, at the end of the travel blog, there you will find useful tips about the best travel time, prices and how to get from one island to another. 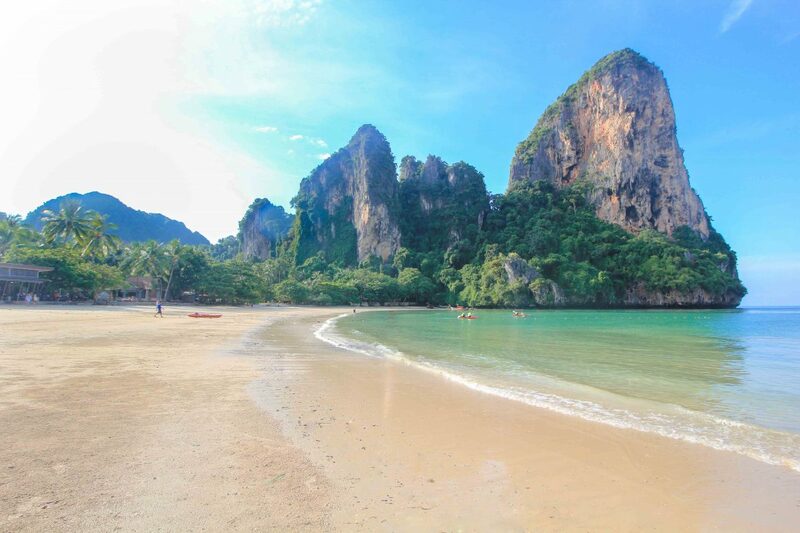 For our first stop of our itinerary we chose Krabi, one of the most beautiful provinces in Thailand. Krabi Town does not have beaches, but the night market, the nearby Tiger Cave Temple and the Emerald Pool are definitely worth a visit. Additionally, the town is a famous starting point for island hopping tours to the stunning Islands in South Thailand. If you also plan to spend a night or more in Krabi town, you will find the right accommodation here. Although Railay Beach is not an island, but the peninsula is separated from the mainland by a deep jungle and can only be reached by long-tail boat from Krabi. So this might be the first place for you to get a real island feeling. With its limestone cliffs and the turquoise clear water, Railay Beach is a real tropical paradise, not just for sun lovers but also for climbers. 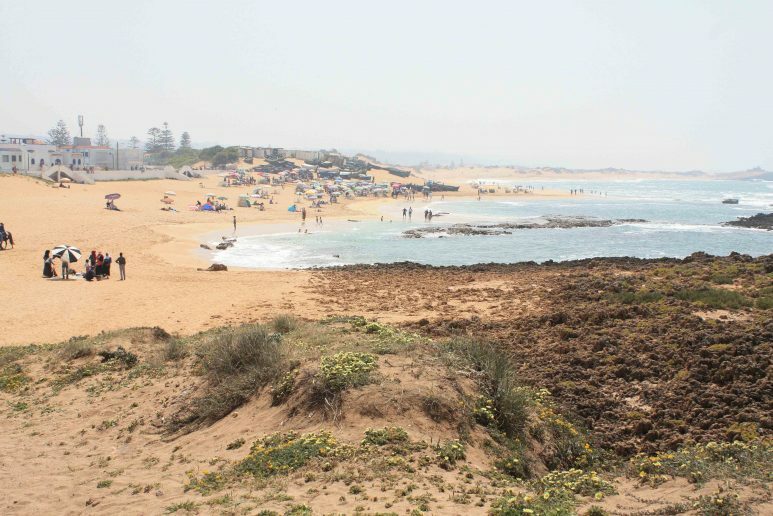 And if you walk around the peninsula. you will definitely see some monkeys too! In addition, there are many small offshore islands to explore, which you can reach by a short trip on the longtail boat (the 4 Island Tour). Resorts and bungalows are available in every price range, but due to its popularity they are quickly sold out! 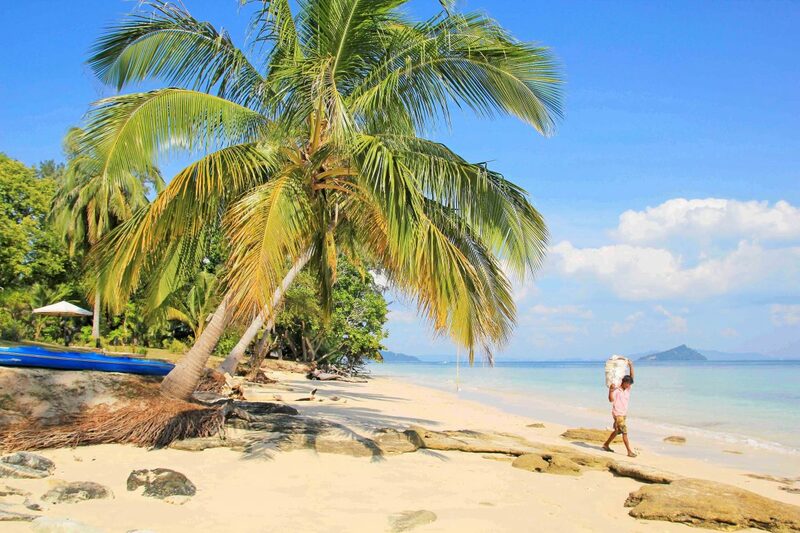 This lovely island Koh Jum is still one of the absolute insider tips for backpacking and individual travellers. This island is located on the west coast of Thailand and it is still really tranquil, the locals are extremely hospitable, and the beaches are wonderful for swimming. If you like it very quiet and you enjoy being part of local life, then you should definitely put Koh Jum on your Thailand Island Hopping list. 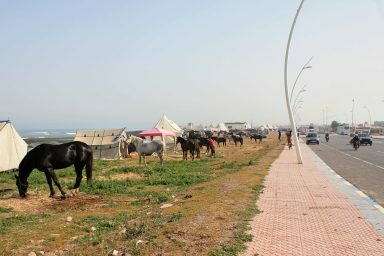 Here you will find the typical beach huts and bungalows just right on the sea! 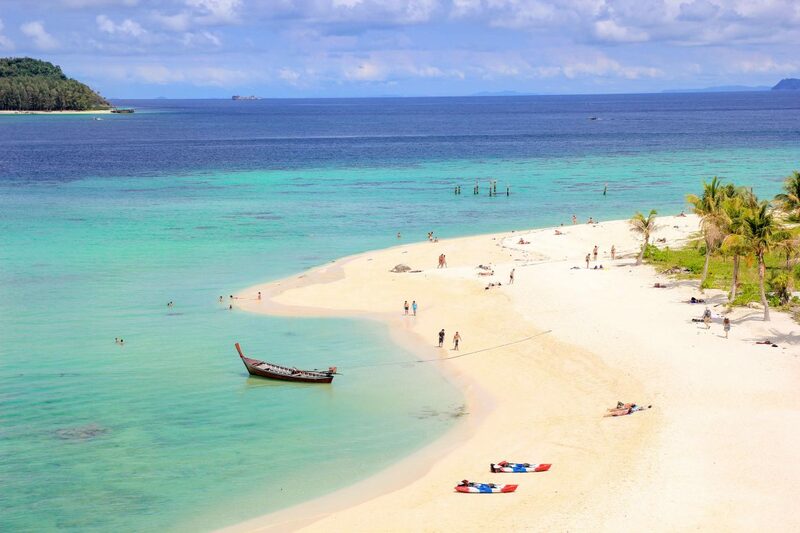 Here you will find more about Koh Jum and the best places to stay. 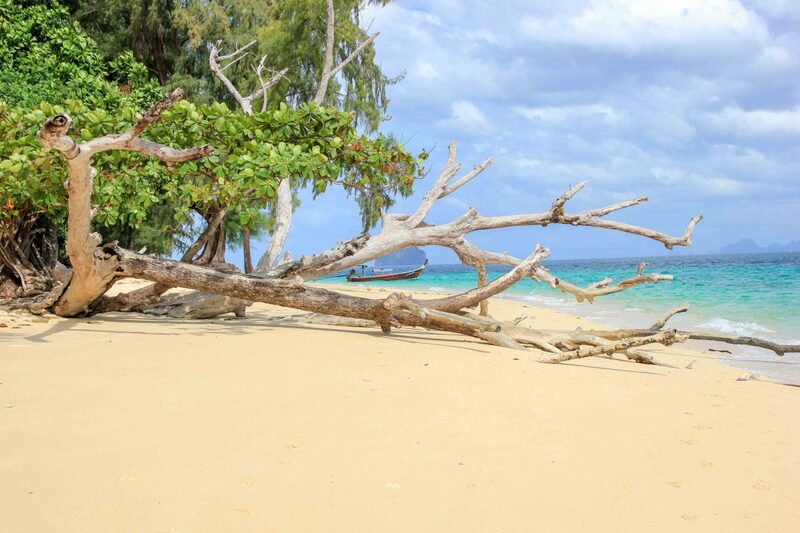 The island of Koh Lanta has always been inspiring and is definitely a place we could imagine staying longer. Ko Lanta is best explored with a scooter that you can borrow at every corner of the island. Just hire a scooter and explore the island! You will find plenty of relaxing beaches to stay and enjoy some fresh coconut. 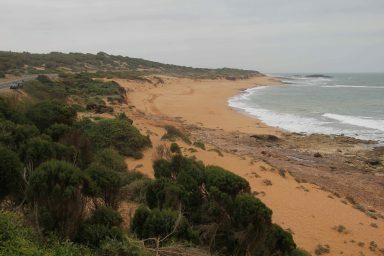 Beautiful quiet beaches are everywhere along the island until reaching the end of the national park. If you are looking for a really nice resort, we recommend taking a look at the lovely and reasonably priced Lanta Casa Blanca! What an amazing islet! Turquoise blue waters and fine white beach – for sure one of the best islands to relax on. Also those who like to snorkel will be more than happy on Koh Kradan. At the offshore reef you have the opportunity to explore a colourful underwater world. 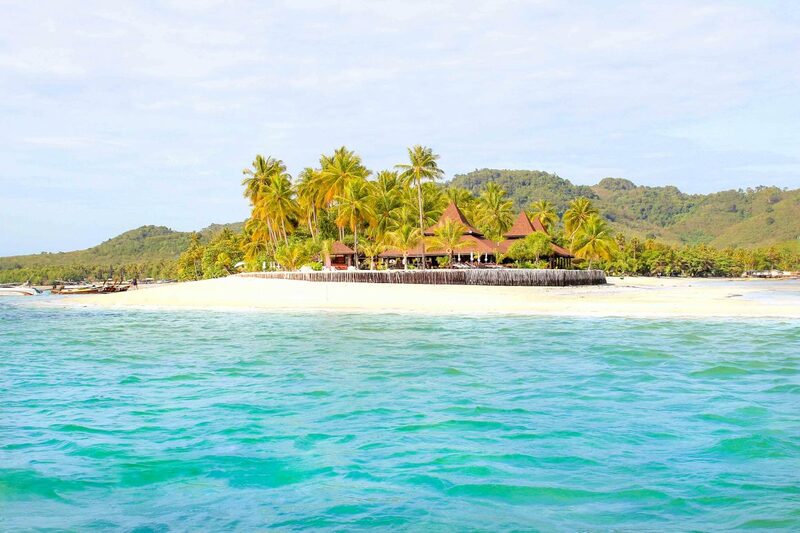 Koh Kradan has only a handful accommodations, which are recommended to be reserved in advance. If you do not that have much time, you can visit Koh Kradan with a trip by longtail boat from the neighbouring islands of Koh Mook or Koh Ngai. If you like to read more about Koh Kradan, check out here: Koh Kradan – A Travel Guide to Paradise! Accommodations with a good recommendation can be found here. The best travel time for island hopping at the west coast of southern Thailand is from November to mid-April. During this time, the rainy season should be over, but it can rain occasionally from time to time. 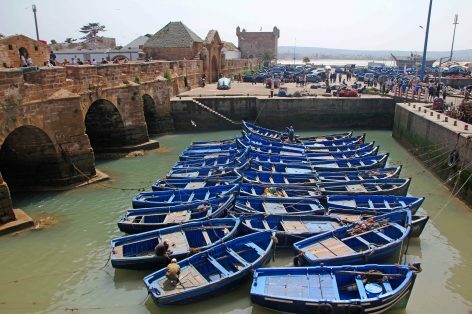 In the rainy season, like in Mai, July, August and September you have to expect limited ferry connections and lots of hotels and restaurants will be closed! 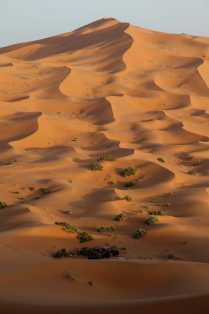 On the other hand, you will find some amazingly cheap hotel deals. 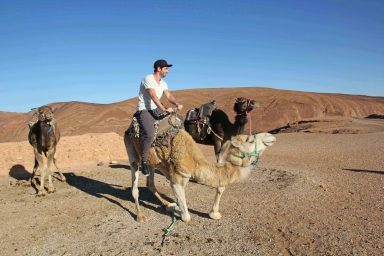 Duration: For a complete tour we suggested to plan at least 3 weeks, better even 4 weeks’ time. If you only have 2 weeks for island hopping, then just think about which island in the south of Thailand you really want to see and skip some other islands. 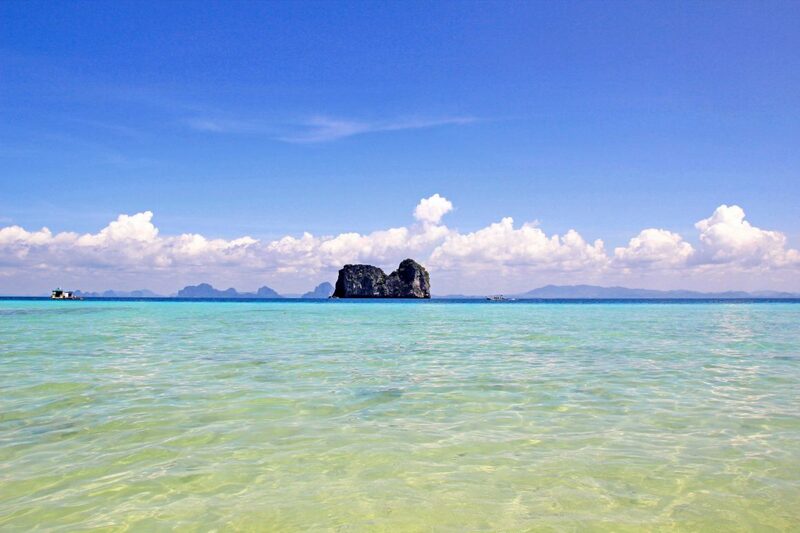 For one week of island hopping we would suggest visiting the islands Koh Mook, Koh Ngai and Koh Kradan. Cost: Prices for Island Hopping can be very various depending if you are traveling on a budget or if you prefer luxury travel. 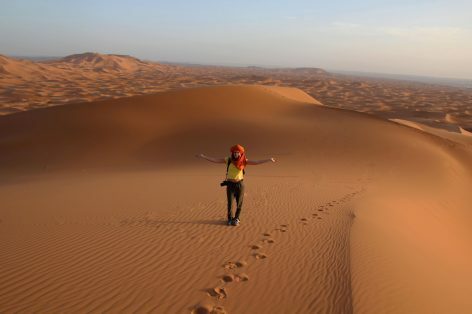 Plan for your trip as a backpacker a budget around 30 euros per day. Of course, for luxury also in Thailand there are no price limits. Generally, the food in Thailand is quite cheap. For local dishes such as Phat Thai, Green Curry or Fried Rice you can count on about 1.00-3.00 Euro per dish. Simple beach huts are available from around 500 baht. 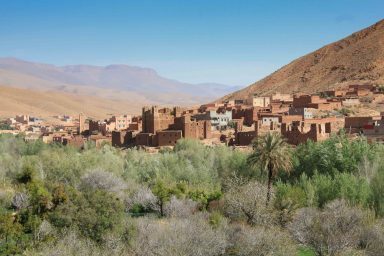 Where to stay: Generally, you will find on each island mentioned above a selection of different accommodation in every price range. The prices vary depending on the season and you often get cheap bargains in the low season. 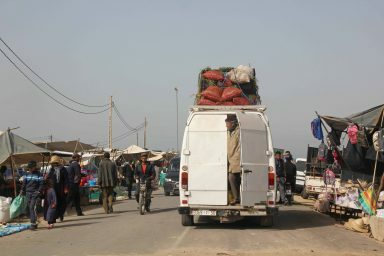 Higher prices will be charged around Christmas time and holidays. Best to compare the hotel ratings and rates on booking.com. Rent scooters : Exploring an island by scooter is an fantastic way to see all of the amazing beaches and small villages. We did that on Koh Lanta and Koh Jum and it was a great adventure. 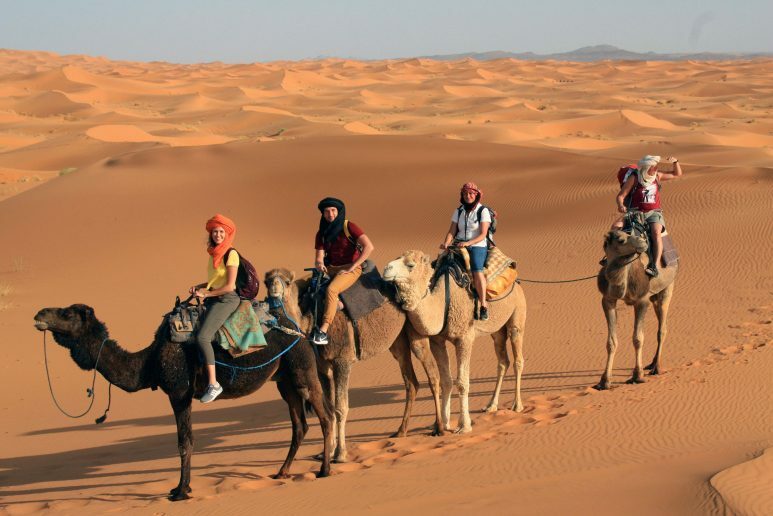 Transport: On each of the island described above you will find hotels and agencies that will be more than happy to organize your onward transport. 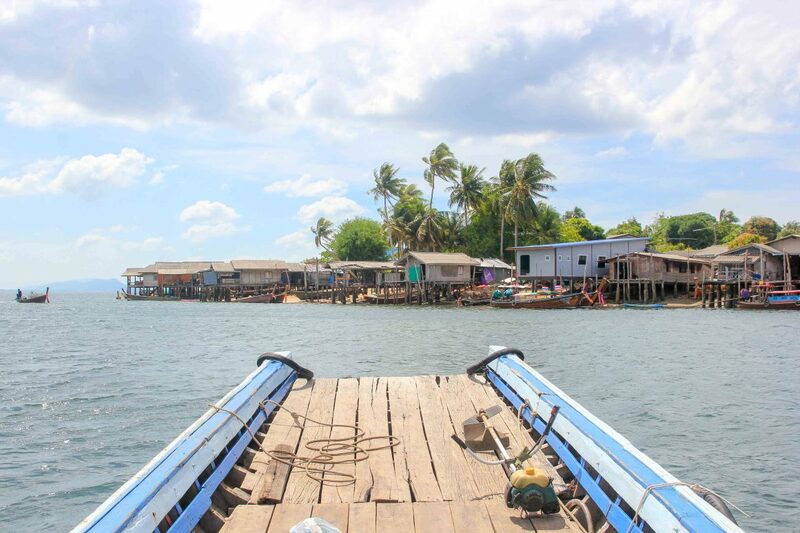 You usually travel between the islands by speed boat, ferry or longtail boat. Comparing the prices before booking is always a good idea, because there are a variety of providers and variants.